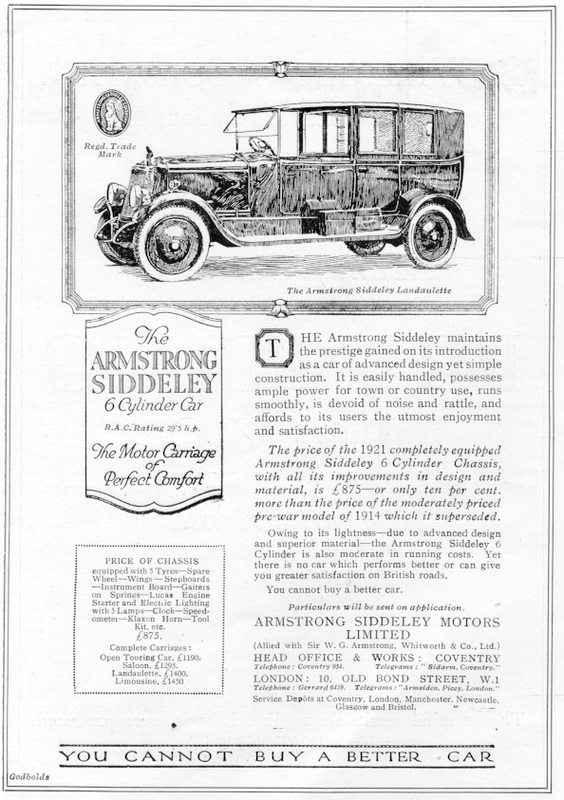 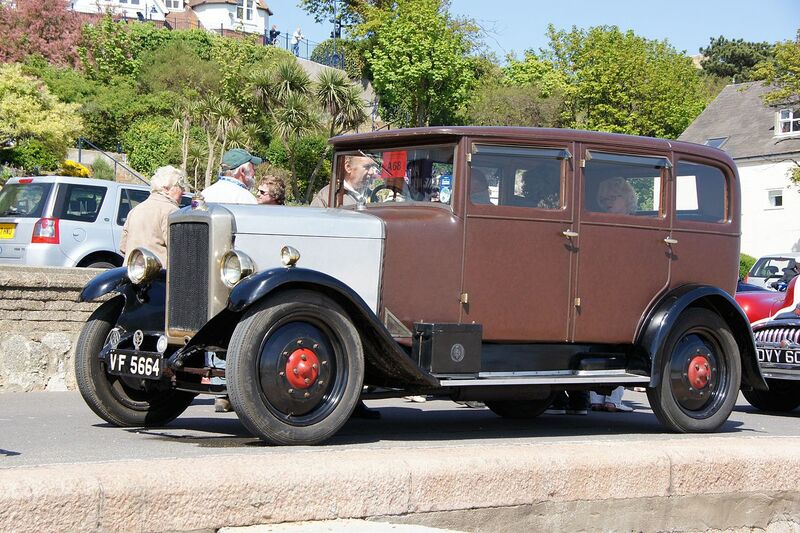 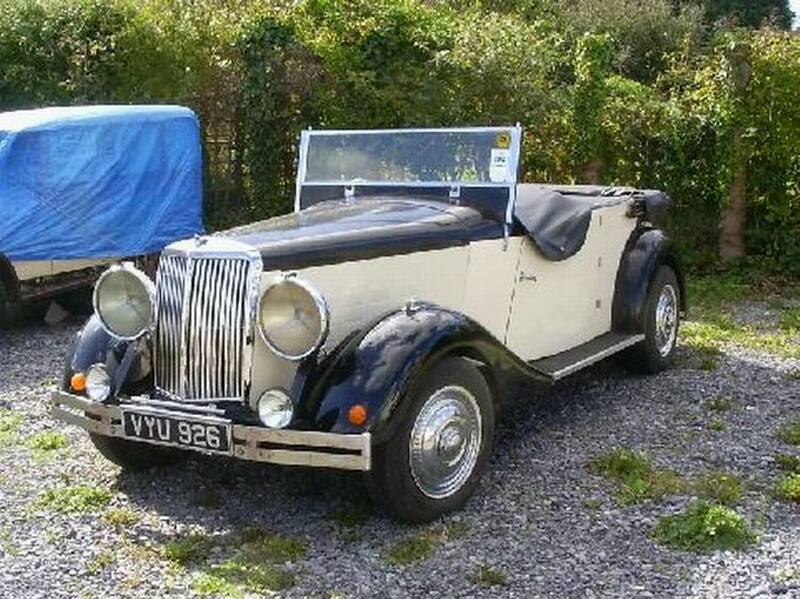 Armstrong Siddeley was a British engineering group that operated during the first half of the 20th century. 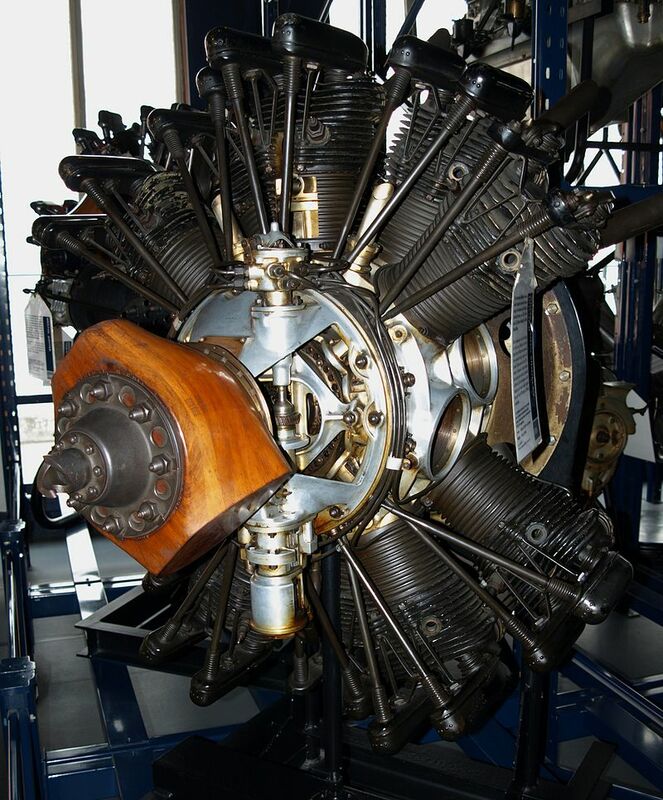 It was formed in 1919 and is best known for the production of luxury vehicles and aircraft engines. 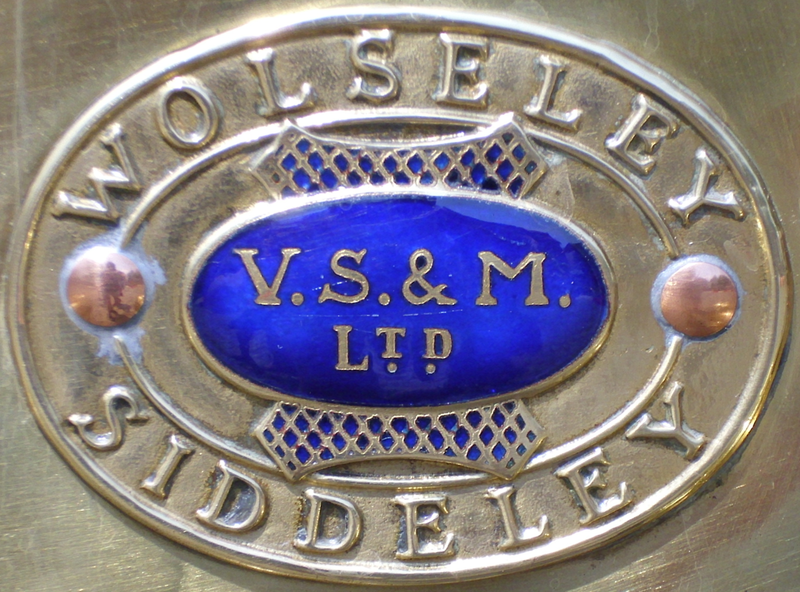 In 1909 J. D. Siddeley resigned from Wolseley and took over the Deasy Motor Company, and the company became known as Siddeley-Deasy. 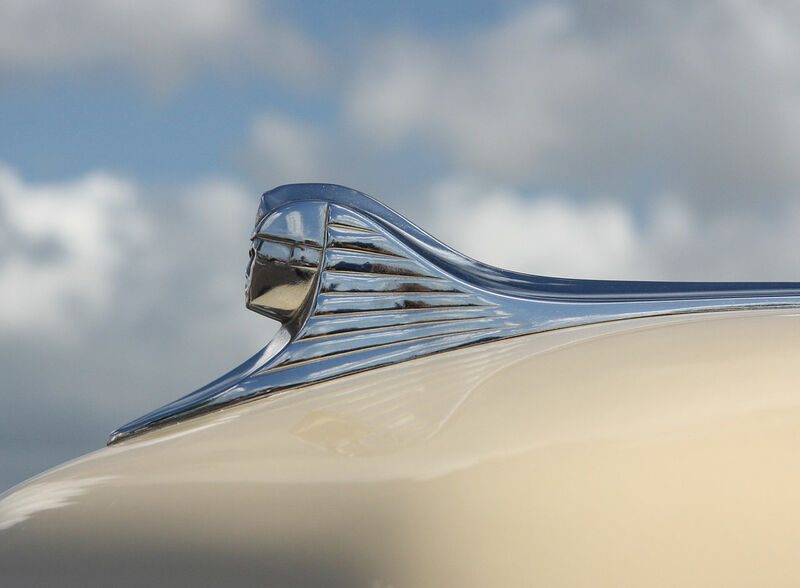 In 1912, the cars used the slogan “As silent as the Sphinx” and started to sport a Sphinx as a bonnet ornament, a symbol that became synonymous with descendent companies. 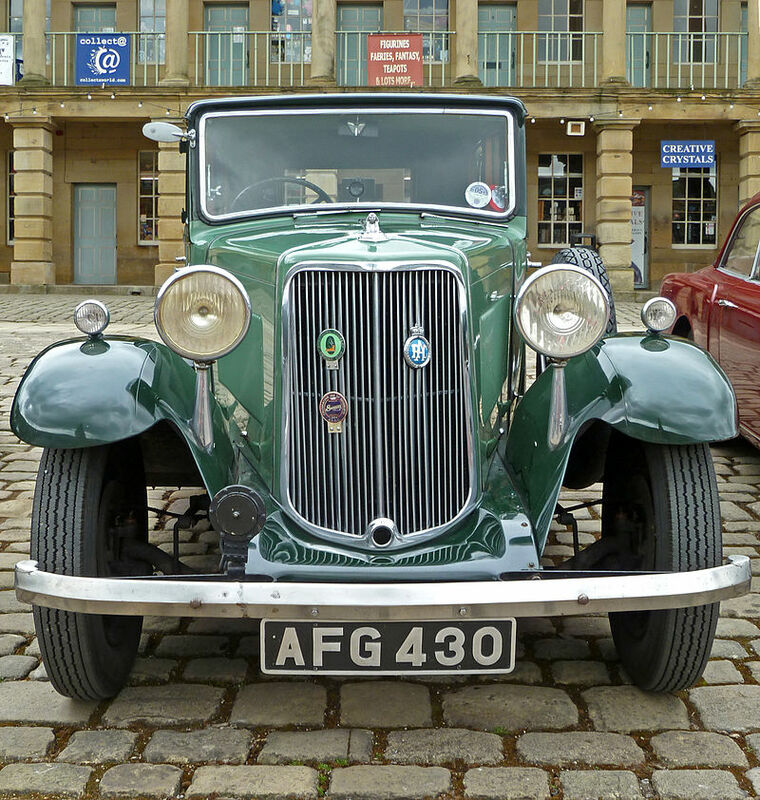 During the Second World War the company produced trucks, ambulances, and staff cars. 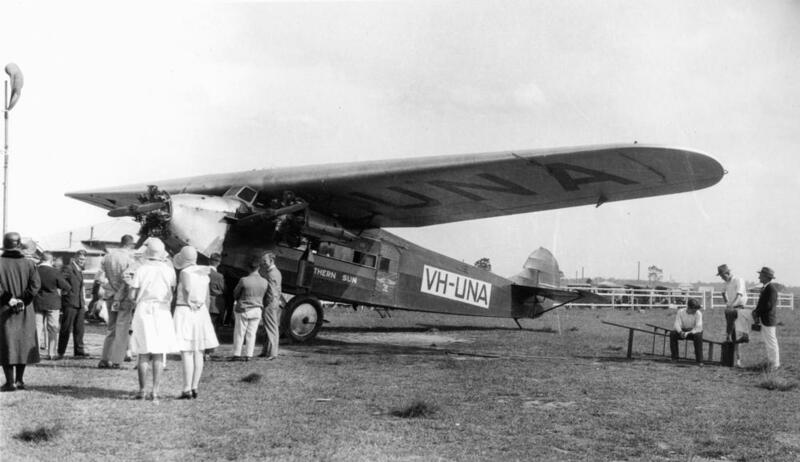 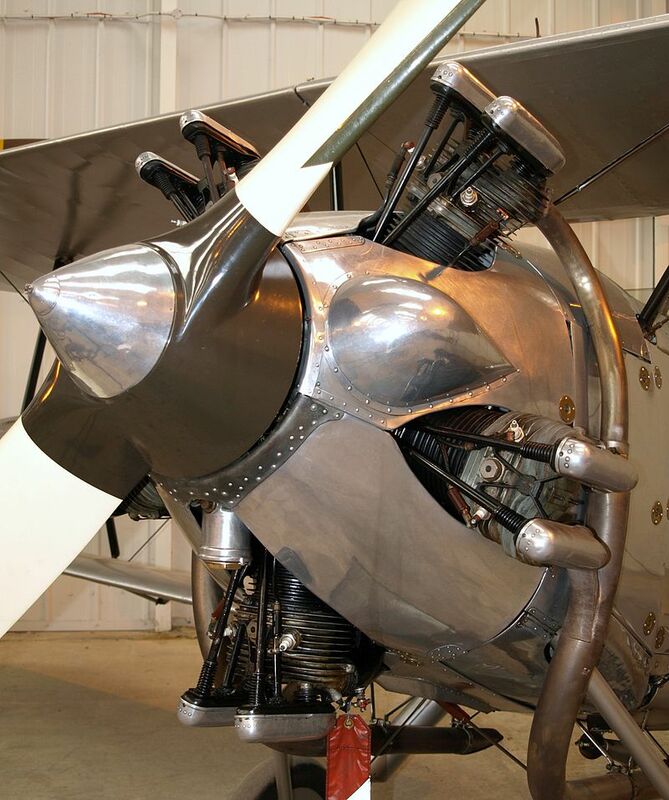 In 1915 airframes and aero-engines started to be produced as well. 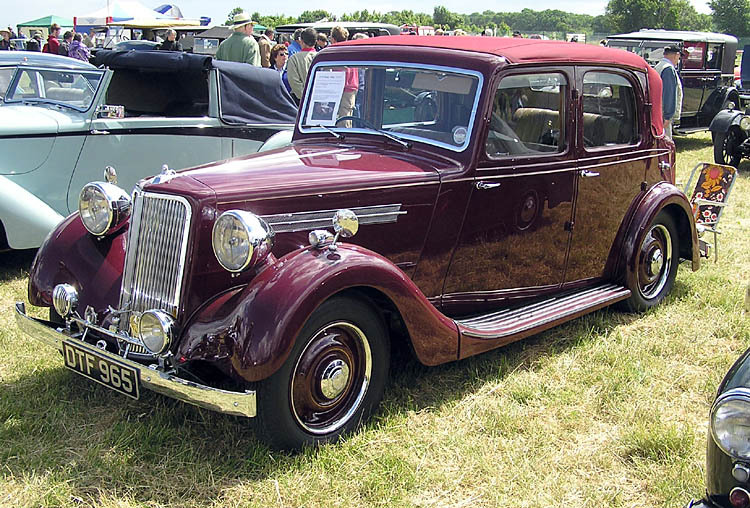 Avro from Crossley Motors. 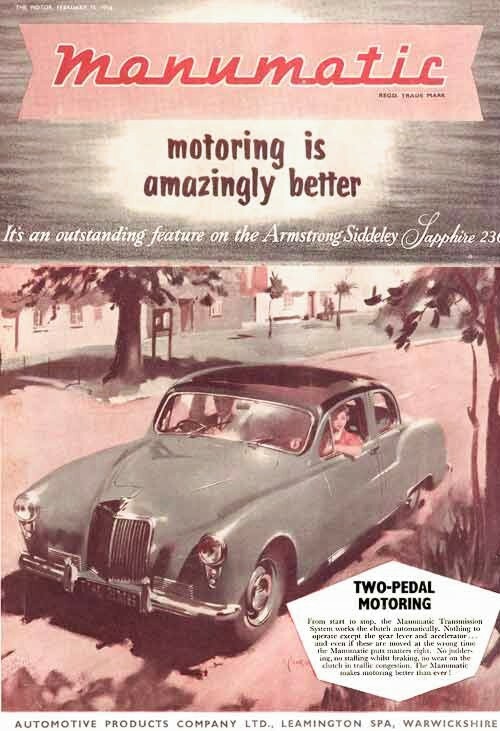 Also that year Siddeley partnered with Walter Gordon Wilson, inventor of the pre-selector gearbox, to create Improved Gears Ltd, which later became Self-Changing Gears – the gearbox that should be credited with enabling the marketing tagline “Cars for the daughters of gentlemen”. 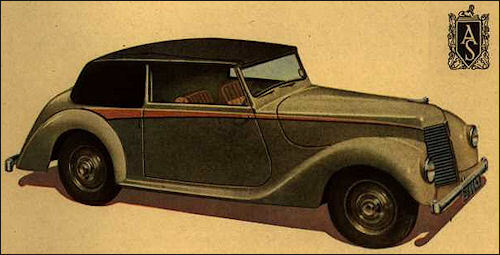 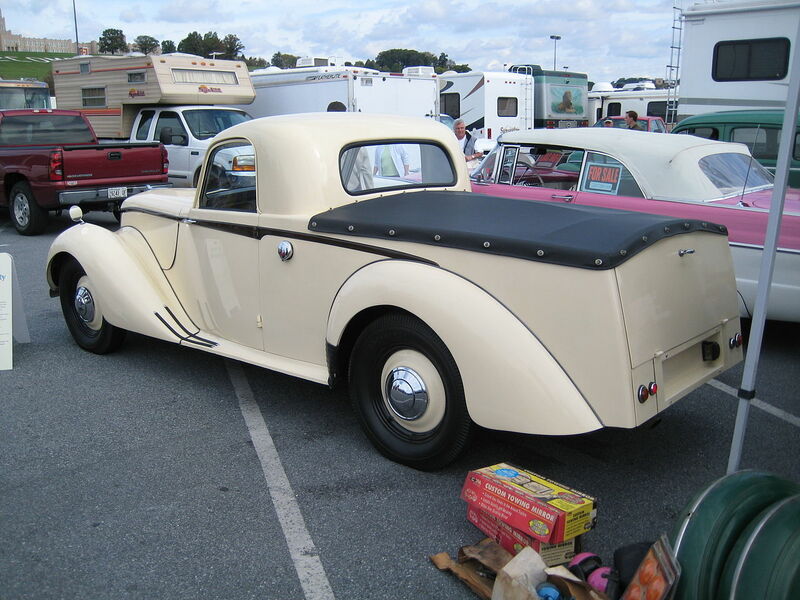 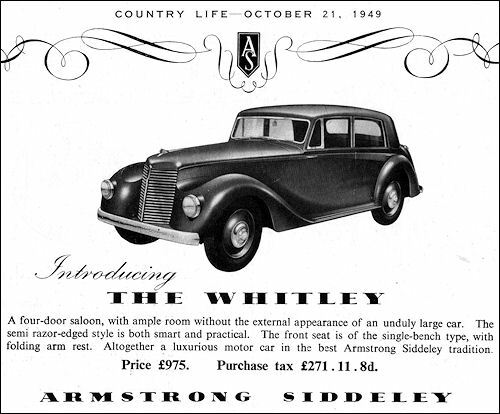 Armstrong Siddeley manufactured luxury cars, aircraft engines, and later, aircraft. 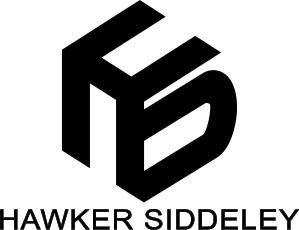 In 1935, J. D. Siddeley’s interests were purchased for £2 million by Tommy Sopwith owner of Hawker Aircraft to form – along with the Gloster Aircraft Company and Air Training Services – Hawker Siddeley, a famous name in British aircraft production. 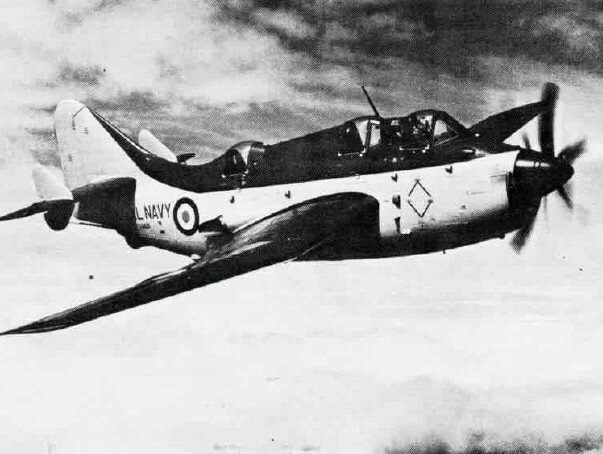 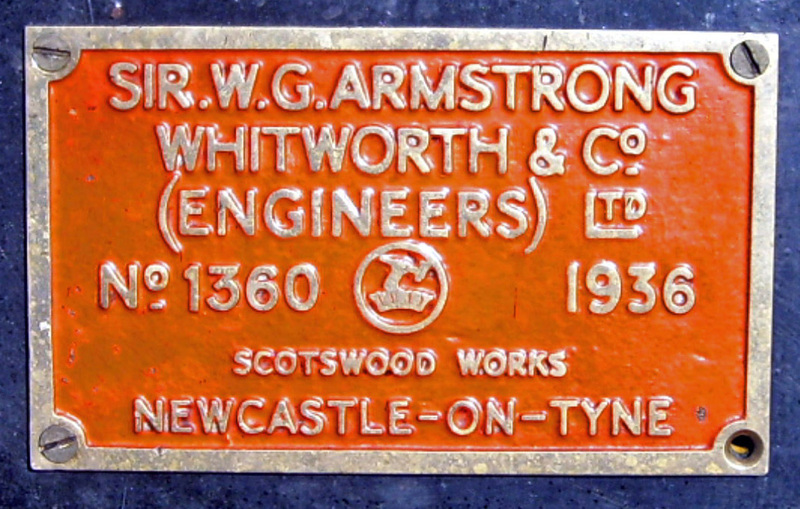 Armstrong Whitworth Aircraft became a subsidiary of Hawker. 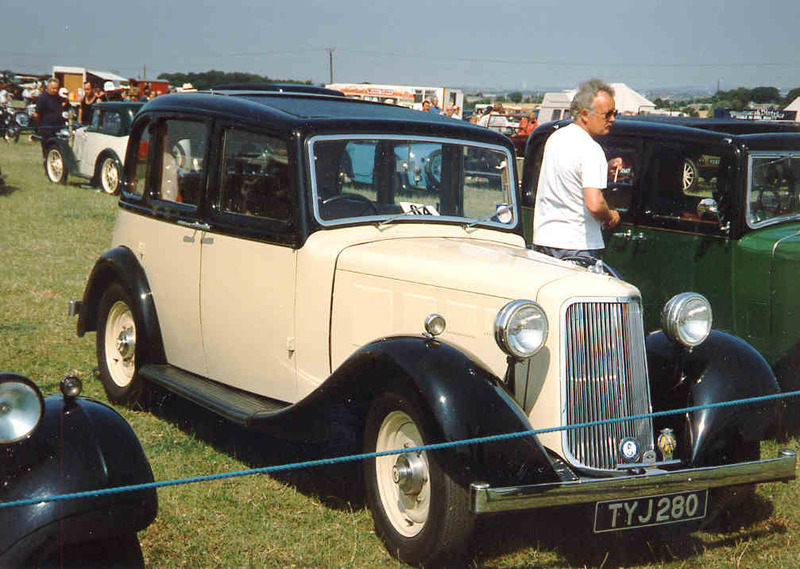 The aviation pioneer Thomas Octave Murdoch Sopwith– Tommy, later Sir Thomas, Sopwith – became chairman of Armstrong Siddeley Motors, a Hawker Siddeley subsidiary. 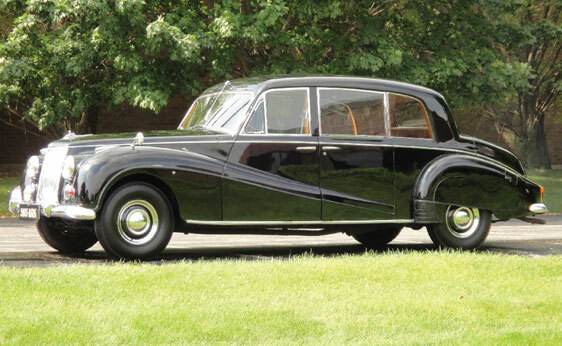 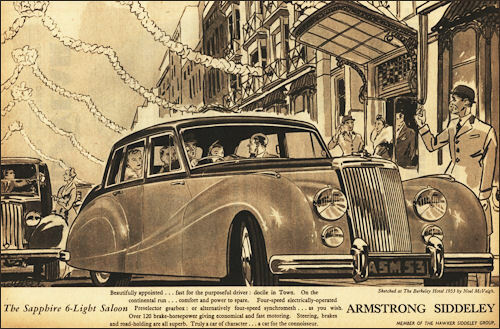 In June 1972, Rolls-Royce (1972) Ltd sold all the stock of spares plus all patents, specifications, drawings, catalogues and the name of Armstrong Siddeley Motors Ltd to the Armstrong Siddeley Owners Club Ltd. 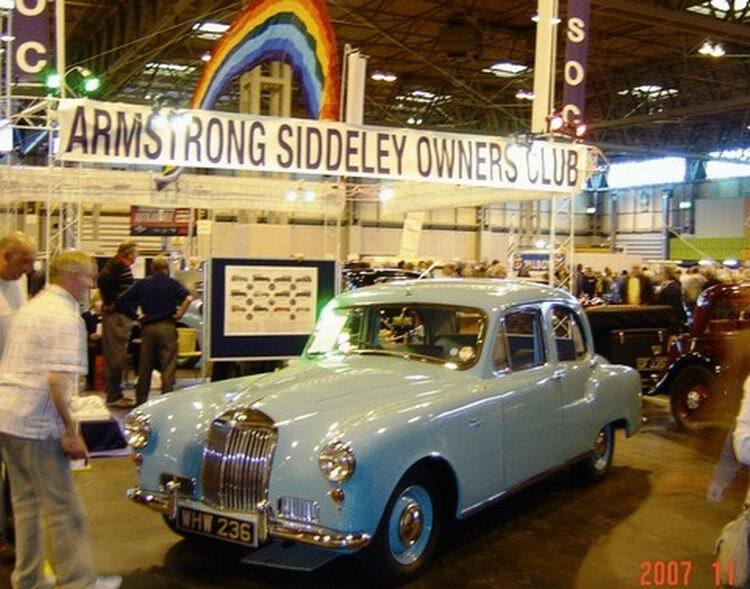 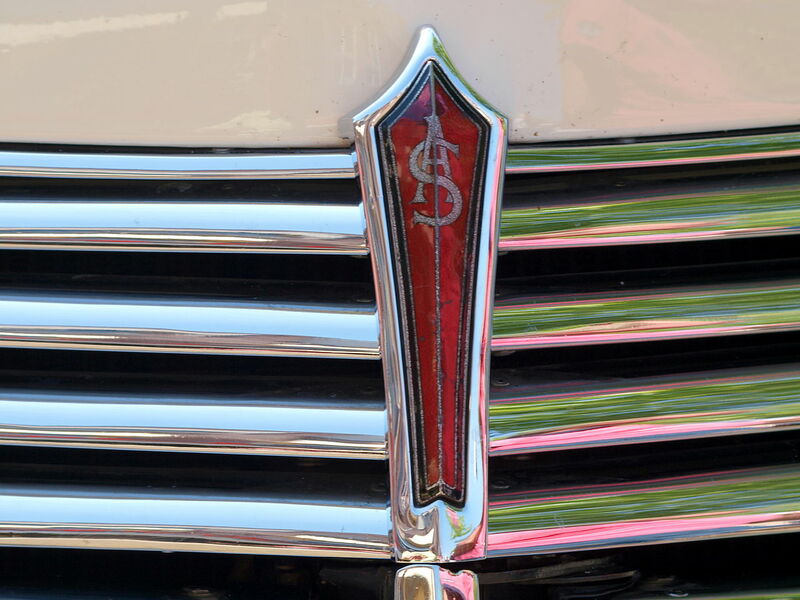 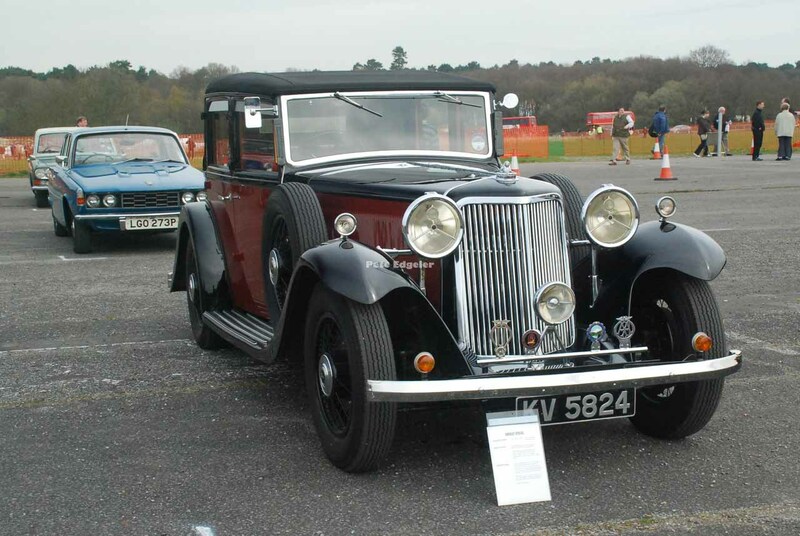 This meant that “Armstrong Siddeley” and “A-S Sphinx Logo” are trademarks and copyright of the Armstrong Siddeley Owners Club Ltd. 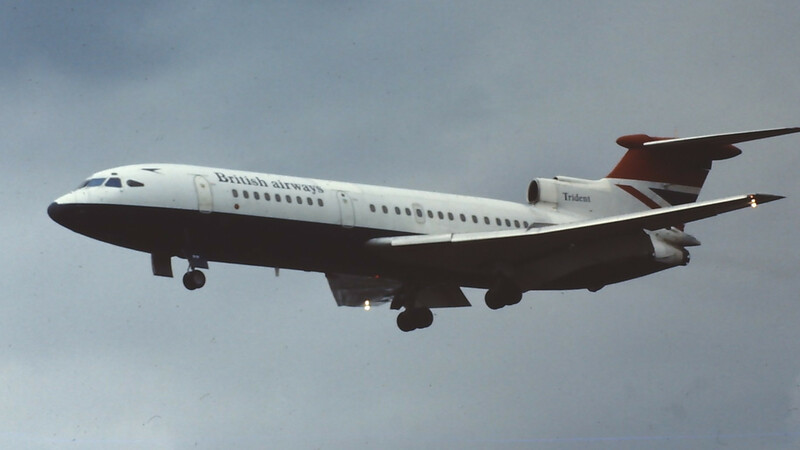 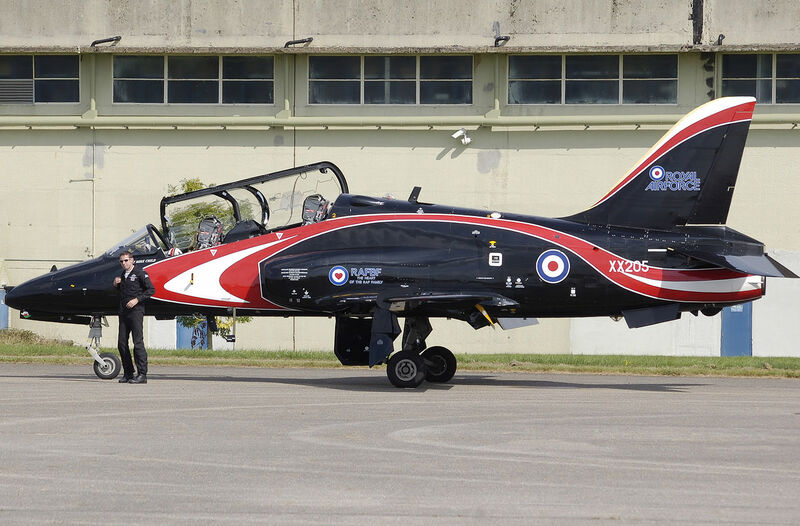 The “Siddeley” name survived a while longer in aviation; in Hawker Siddeley Aviation and Hawker Siddeley Dynamics before they joined with others to become British Aerospace (BAe) which with further mergers is now BAE Systems. 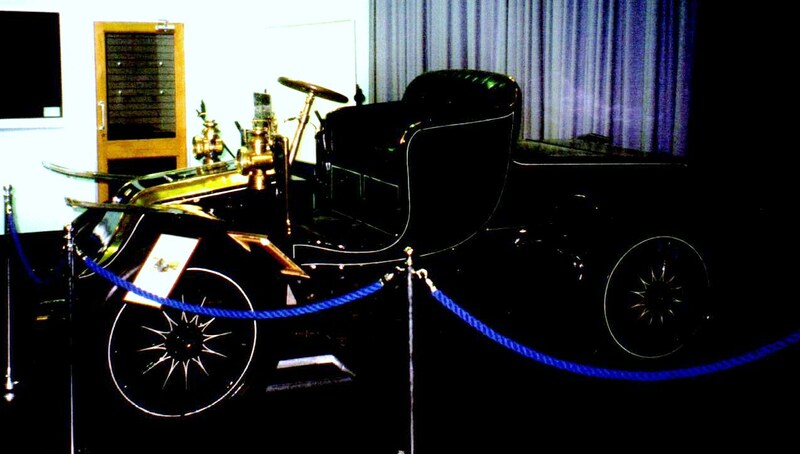 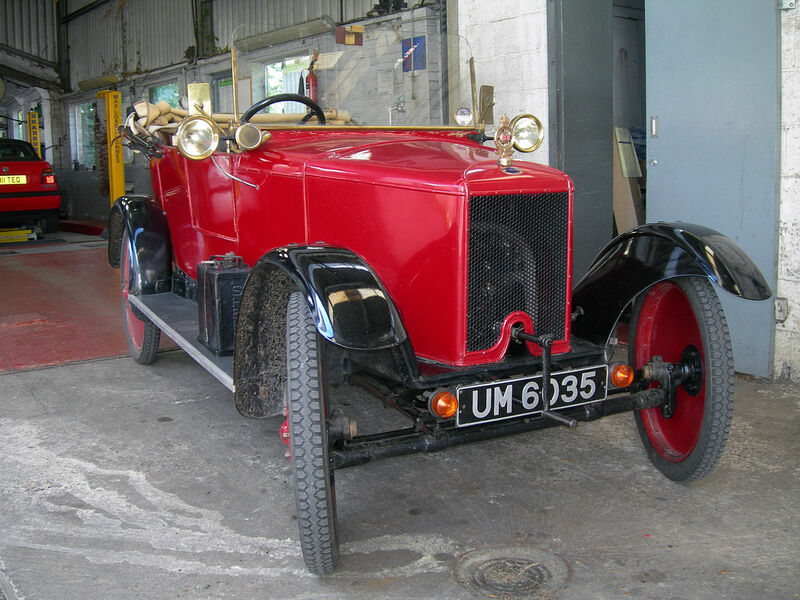 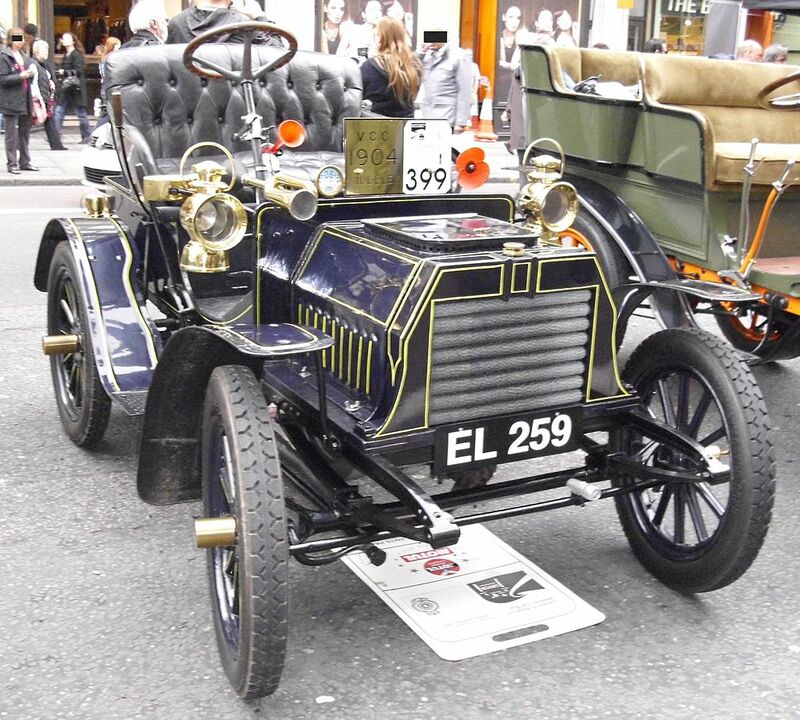 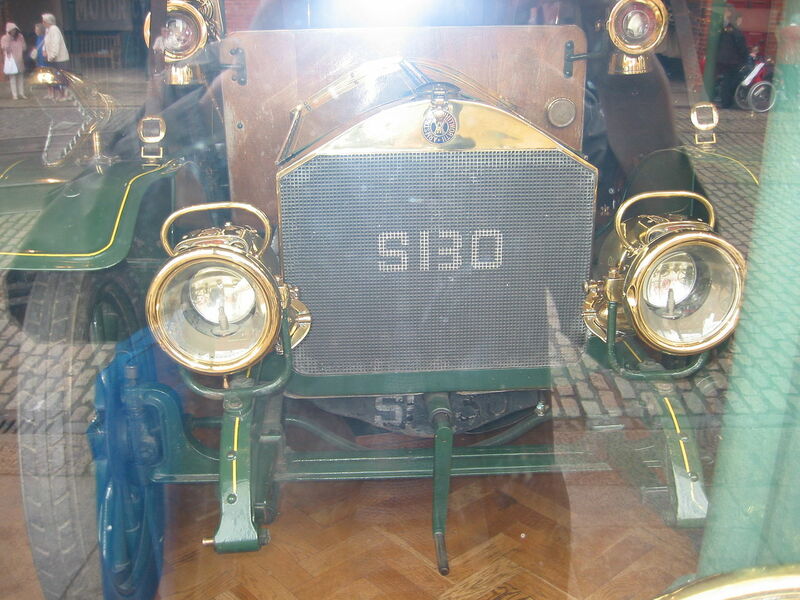 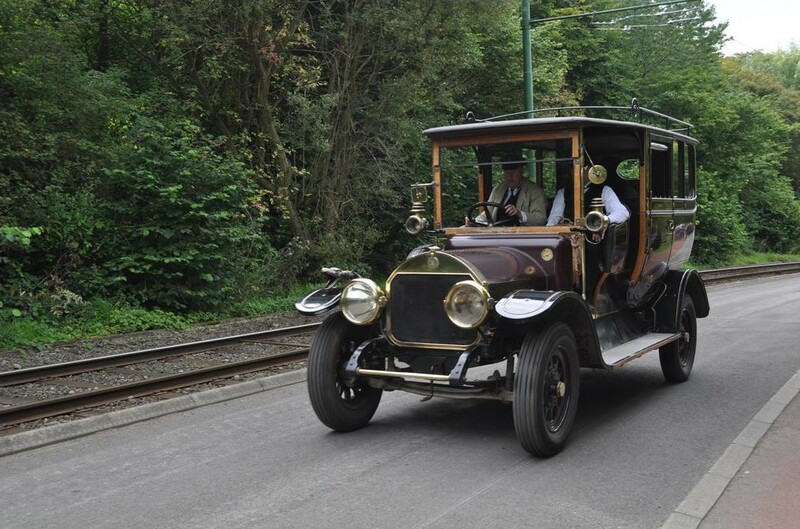 The first car produced from the union was a fairly massive machine, a 5-litre 30 hp. 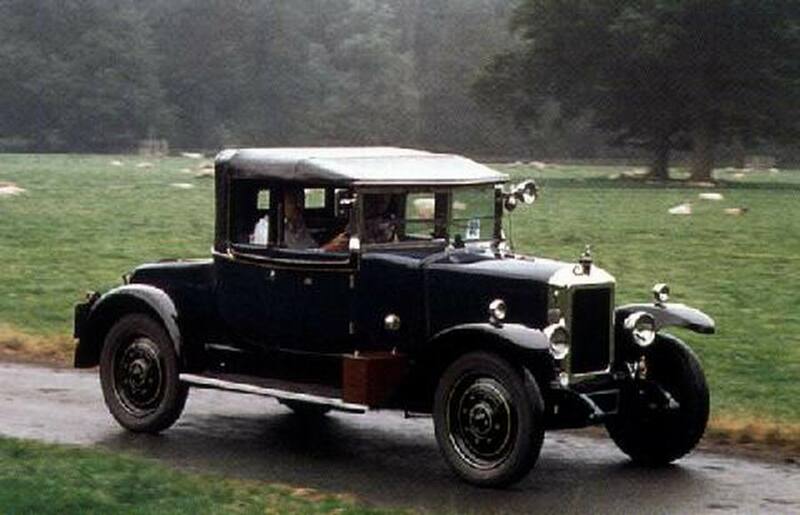 A smaller 18 hp appeared in 1922 and a 2-litre 14 hp was introduced in 1923. 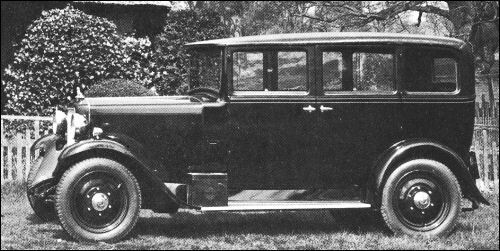 1928 saw the company’s first 15 hp six; 1929 saw the introduction of a 12 hp vehicle. 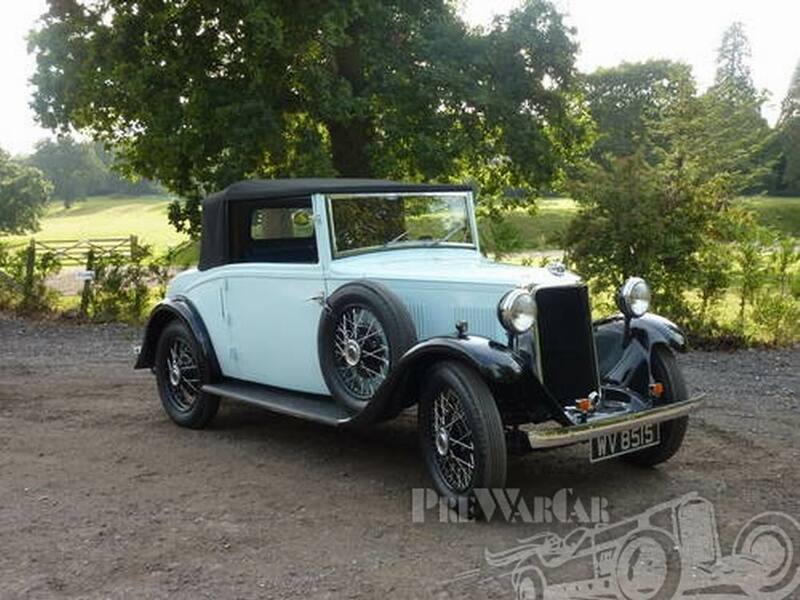 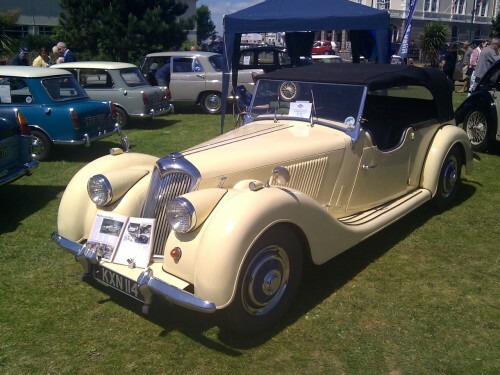 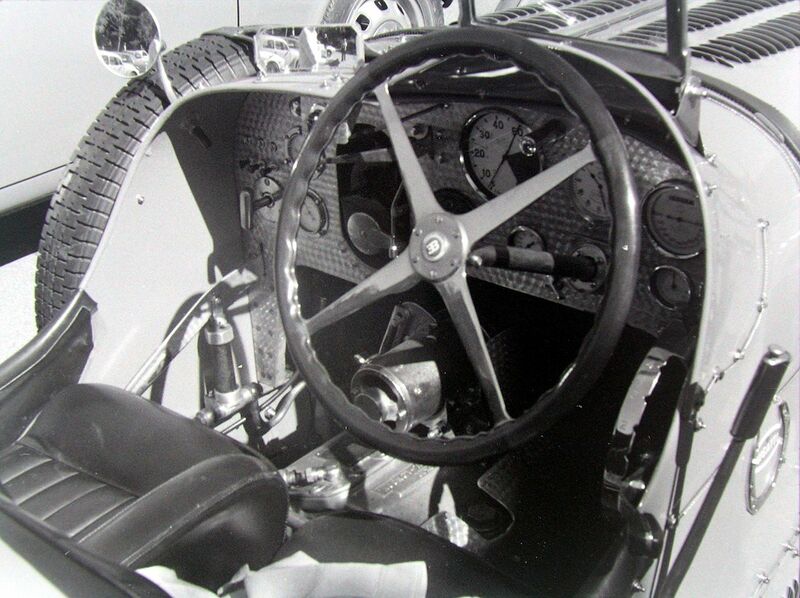 This was a pioneering year for the marque, during which it first offered the Wilson preselector gearbox as an optional extra; it became standard issue on all cars from 1933. 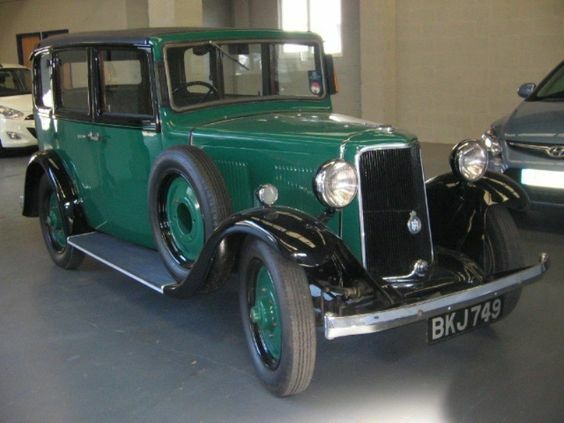 In 1930 the company marketed four models, of 12, 15, 20, and 30 hp, the last costing £1450. 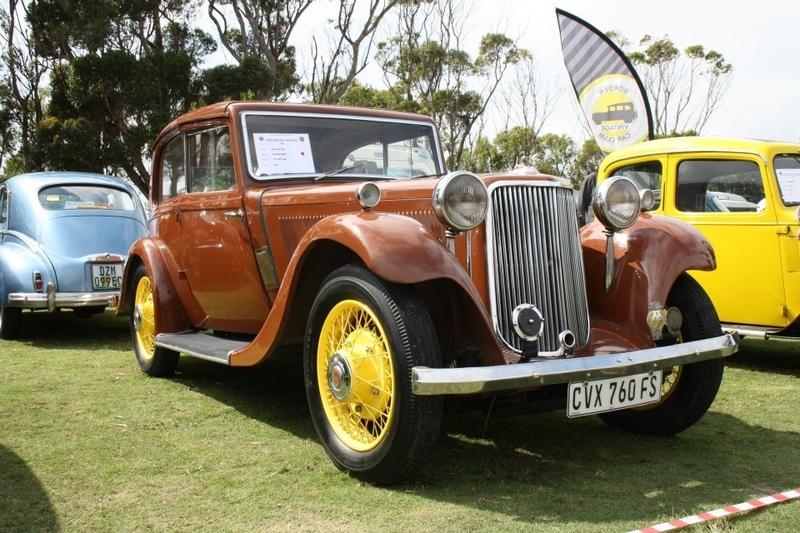 The company’s rather staid image was endorsed during the 1930s by the introduction of a range of six-cylinder cars with ohv engines, though a four-cylinder 12 hp was kept in production until 1936. 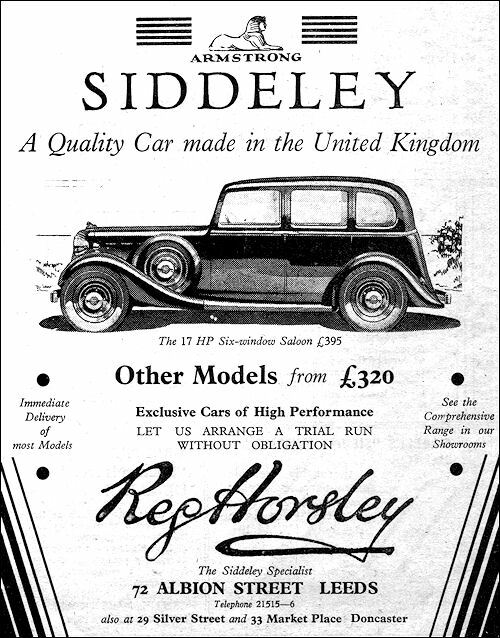 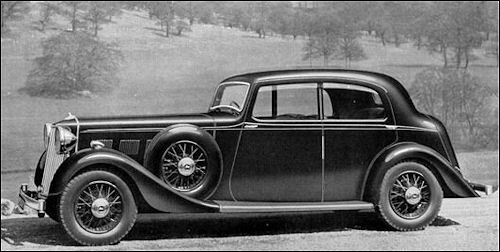 In 1933, the 5-litre six-cylinder Siddeley Special was announced, featuring a Hiduminium aluminium alloy engine; this model cost £950. 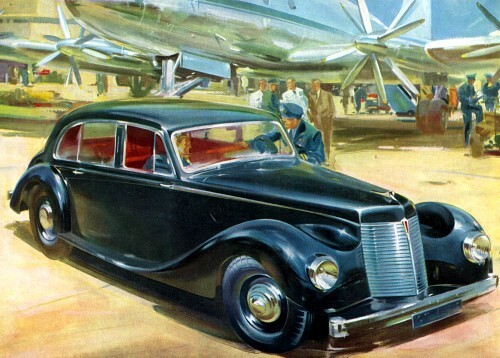 Car production continued at a reduced rate throughout 1940, and a few were assembled in 1941. 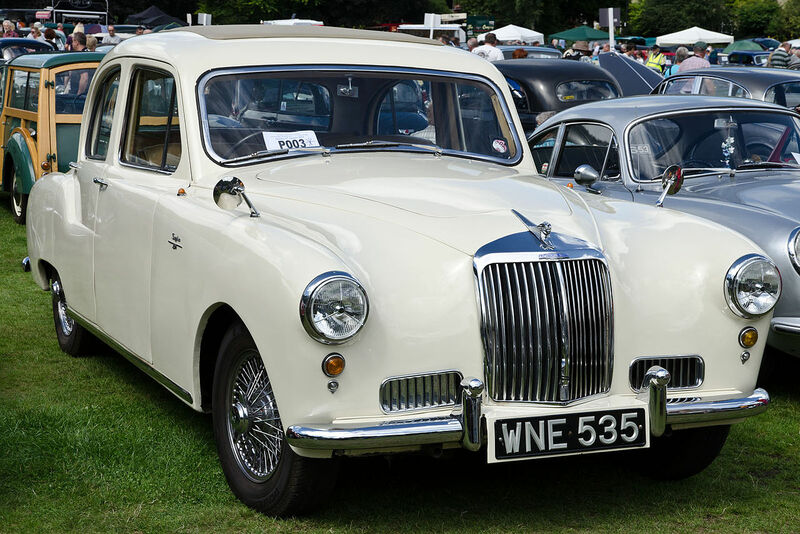 In 1956, the model range was expanded with the addition of the 234 (a 2.3-litre four-cylinder) and the 236 (with the older 2.3-litre six-cylinder engine). 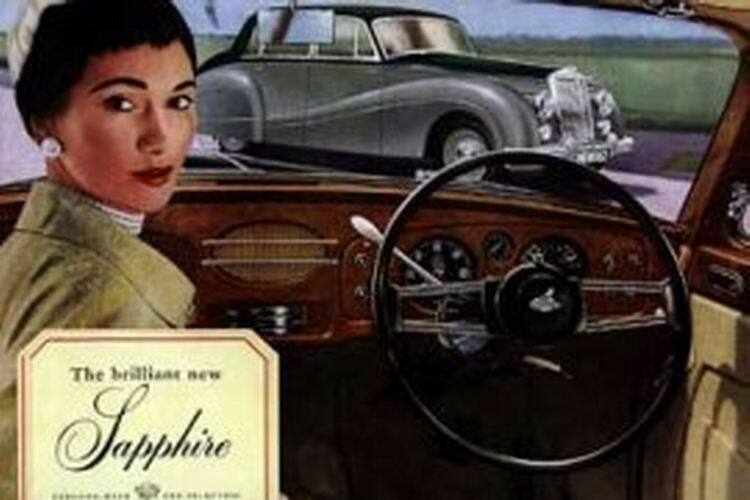 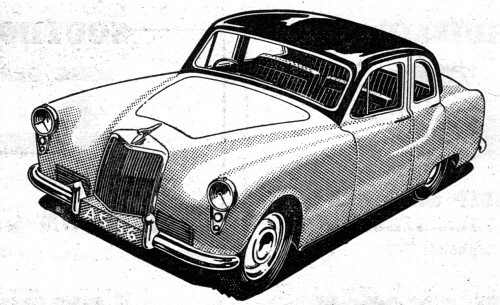 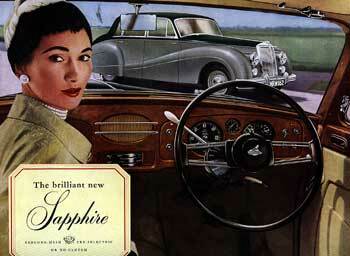 The Sapphire 346 sported a bonnet mascot in the shape of a Sphinx with namesake Armstrong Siddeley Sapphire jet engines attached. 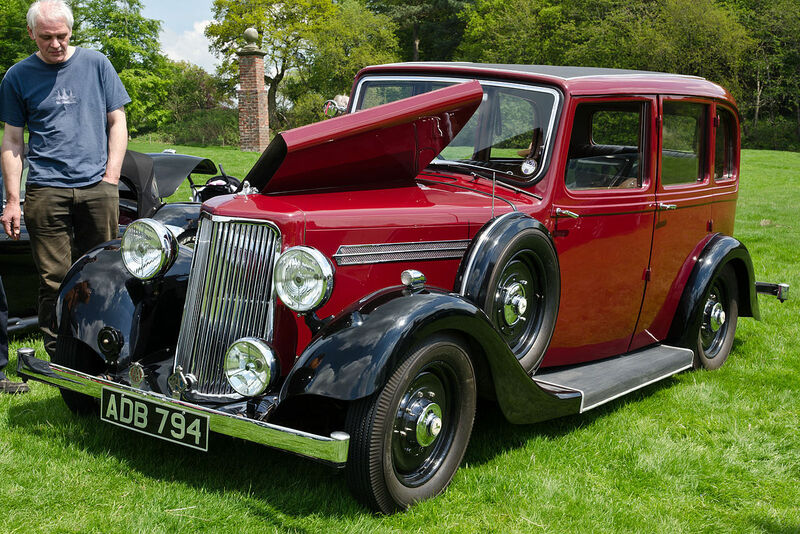 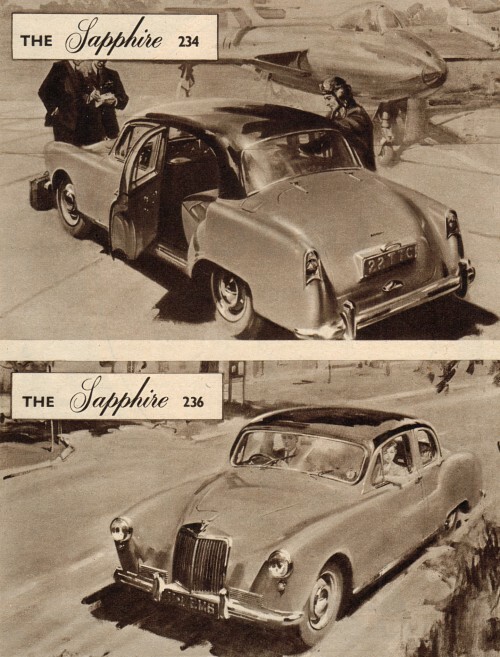 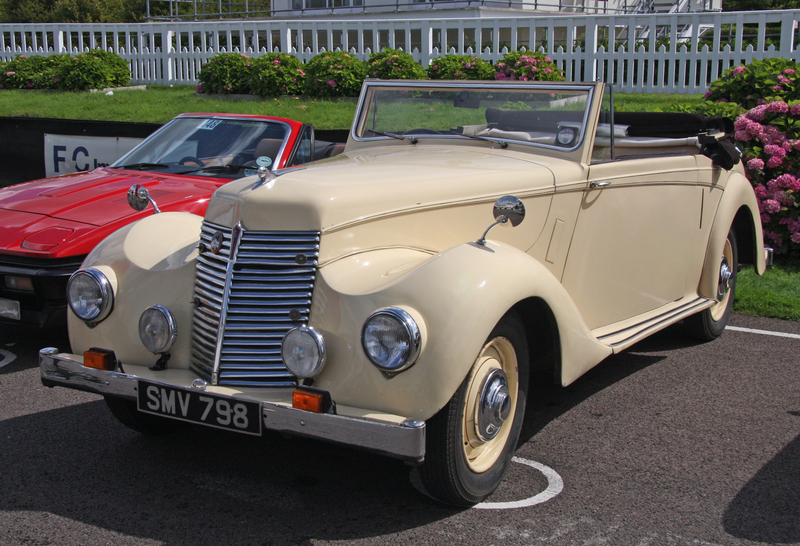 The 234 and 236 Sapphires might have looked to some of marque’s loyal customers like a radical departure from the traditional Armstrong Siddeley appearance. 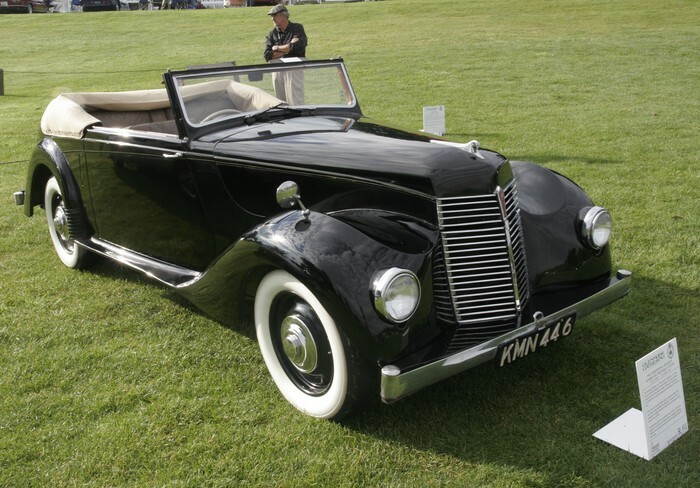 However, in truth, they were simply too conservative in a period of rapidly developing automotive design. 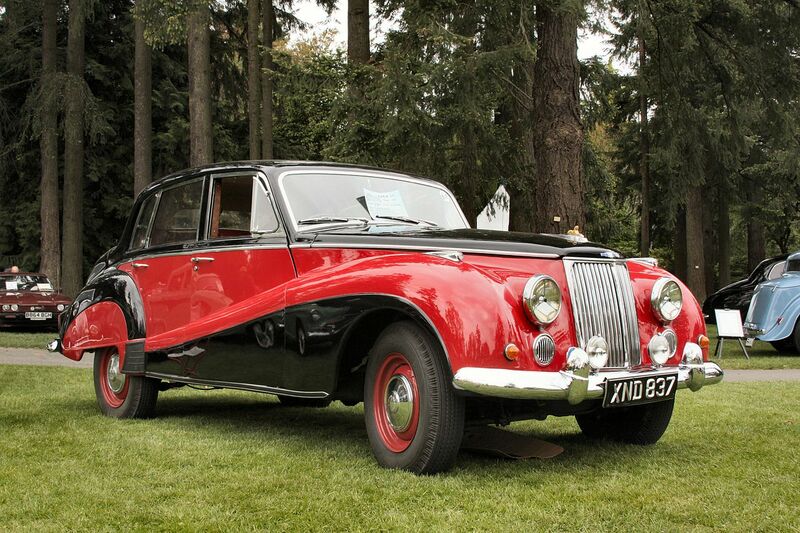 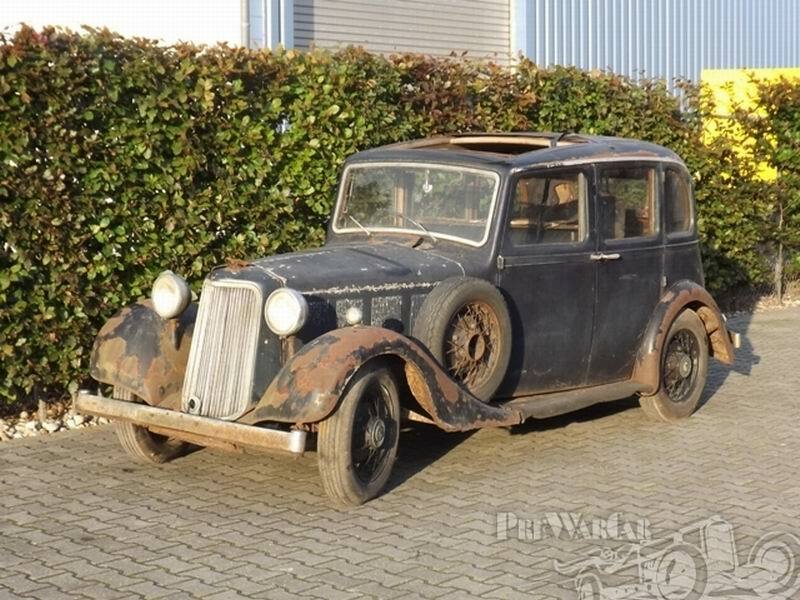 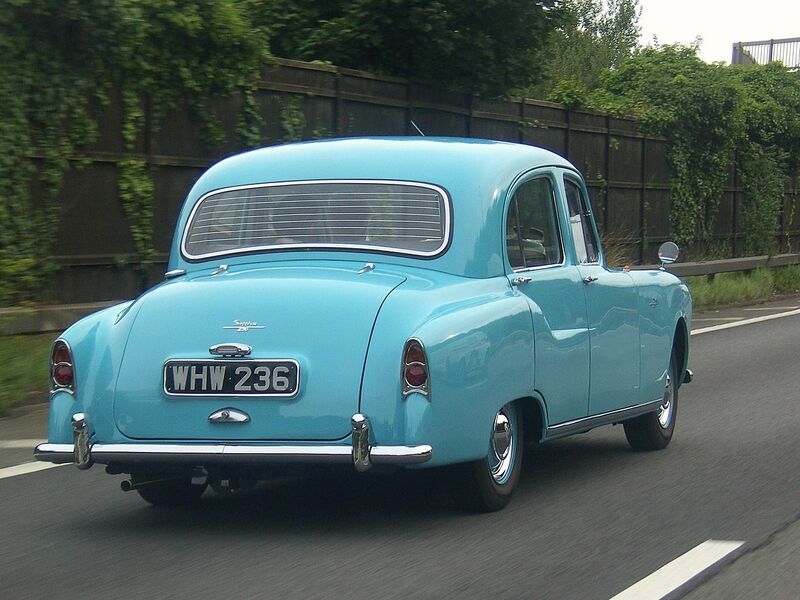 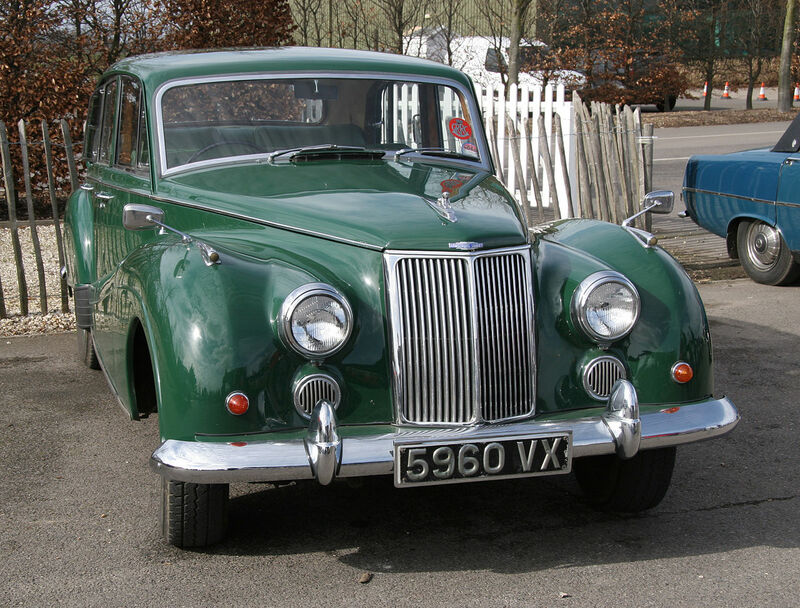 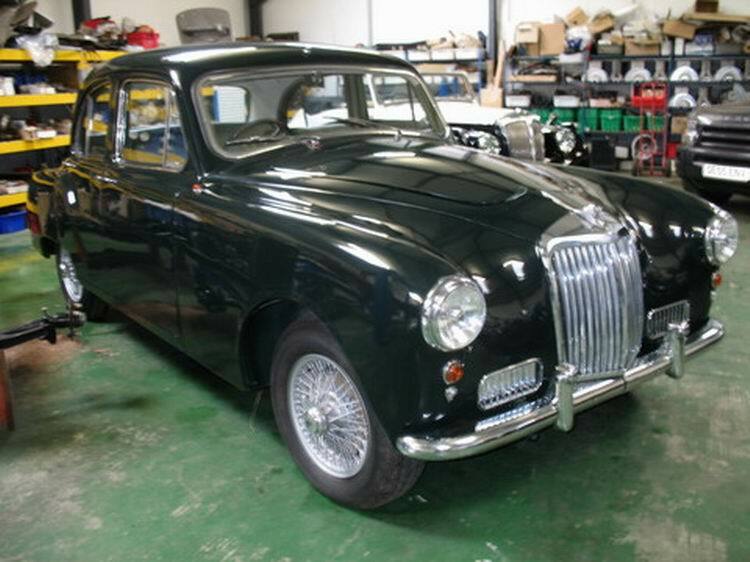 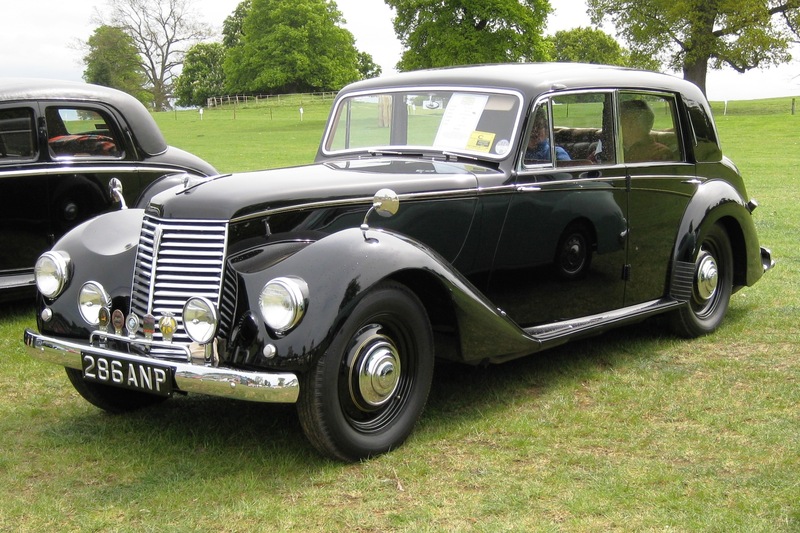 If the “baby Sapphire” brought about the beginning of the end for Armstrong Siddeley, it was because Jaguar had launched the unitary-construction 2.4 saloon in 1955, which was quicker, significantly cheaper, and much better-looking than the lumpy and frumpy 234/236 design. 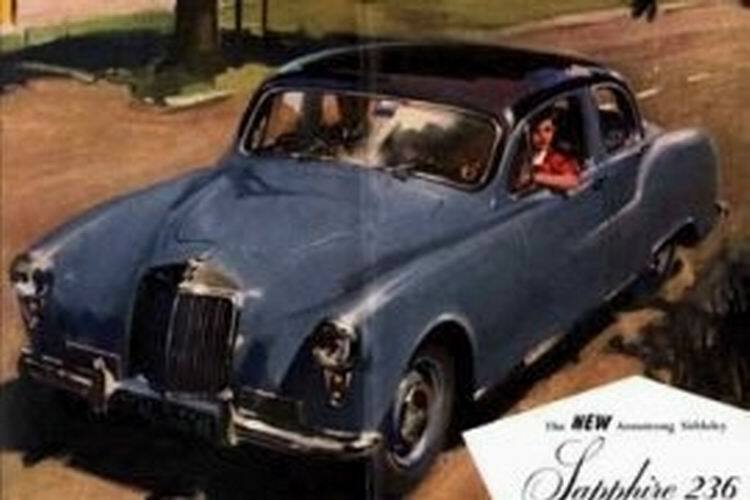 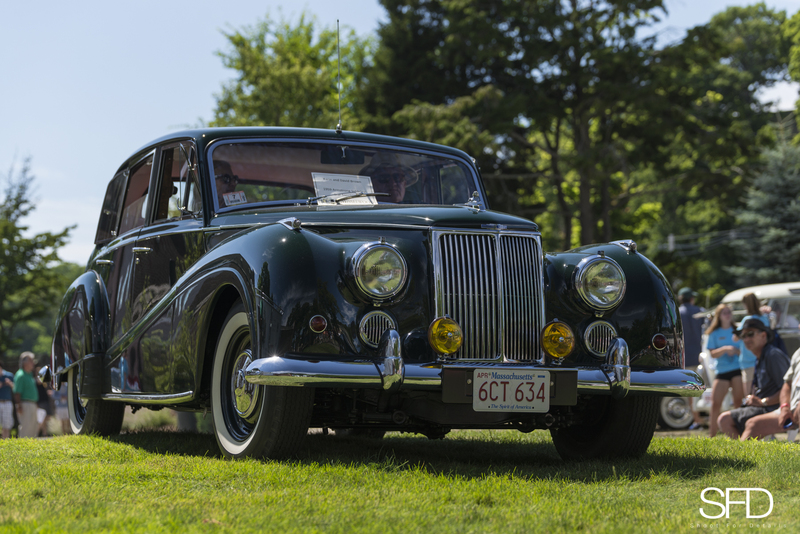 The last model produced by Armstrong Siddeley was 1958’s Star Sapphire, with a 4-litre engine, and automatic transmission. 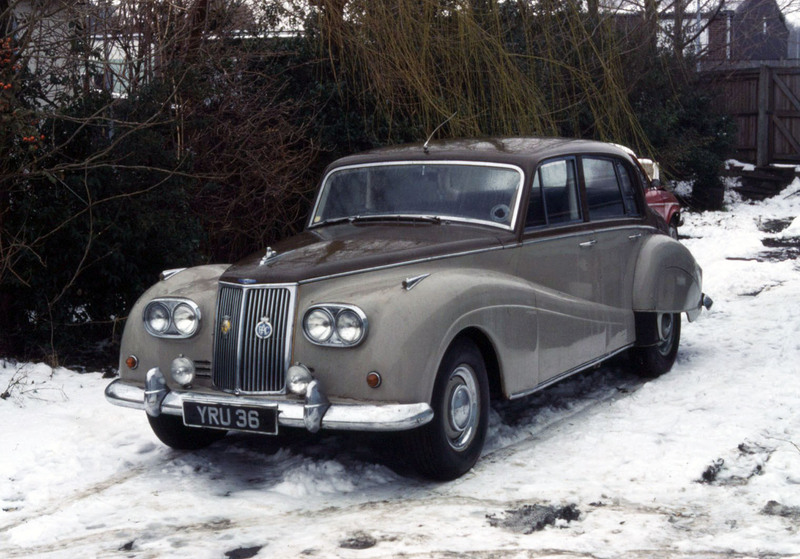 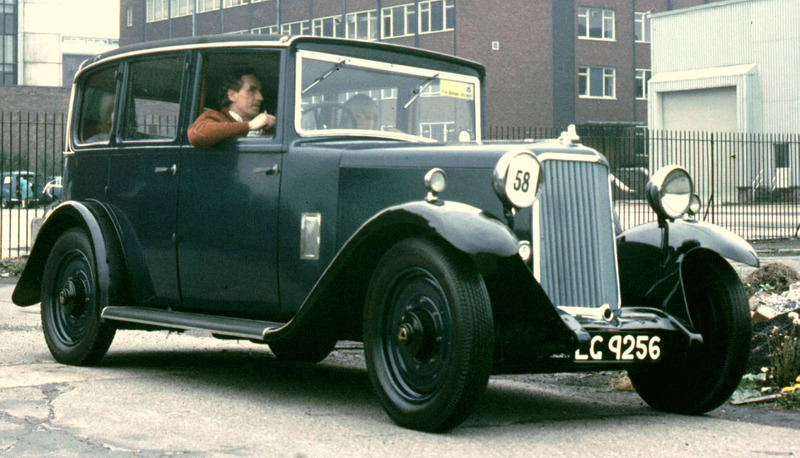 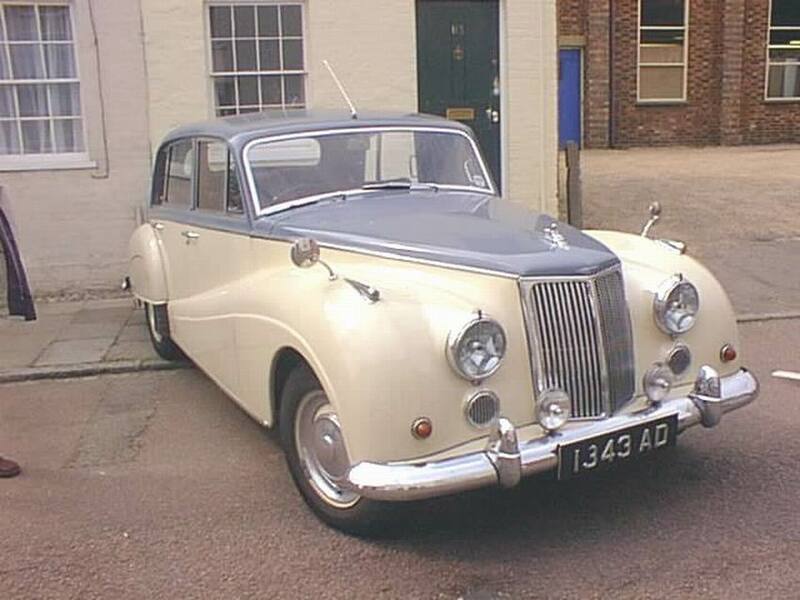 The Armstrong Siddeley was a casualty of the 1960 merger with Bristol; the last car left the Coventry factory in 1960. 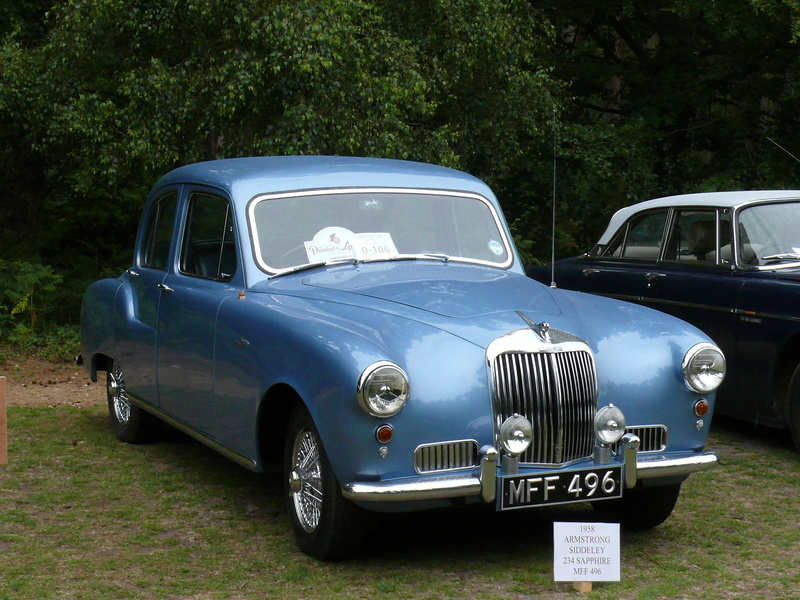 Like many British cars of the age, there are active owners’ clubs supporting their continued use in several countries, e.g. 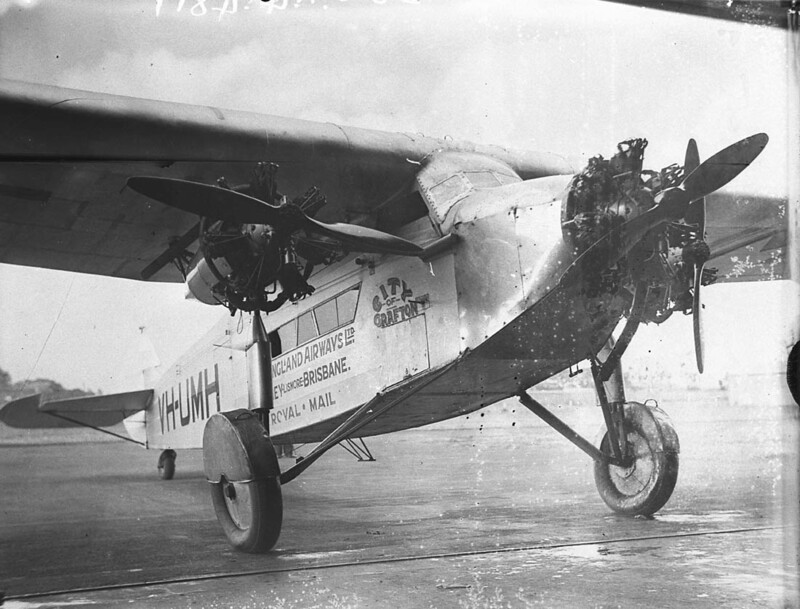 the UK, Australia, New Zealand, the Netherlands and Germany. 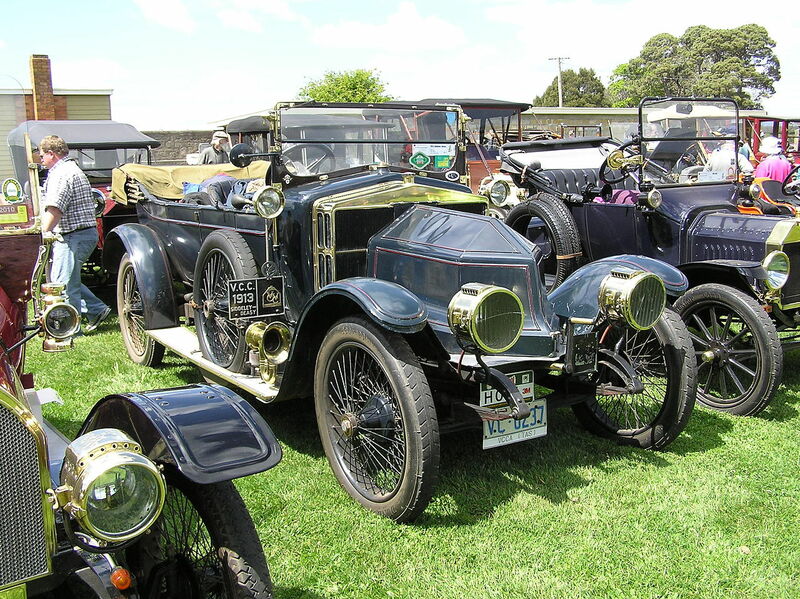 ASOC Ltd has members worldwide and many members of the ASCC in Australia are resident overseas. 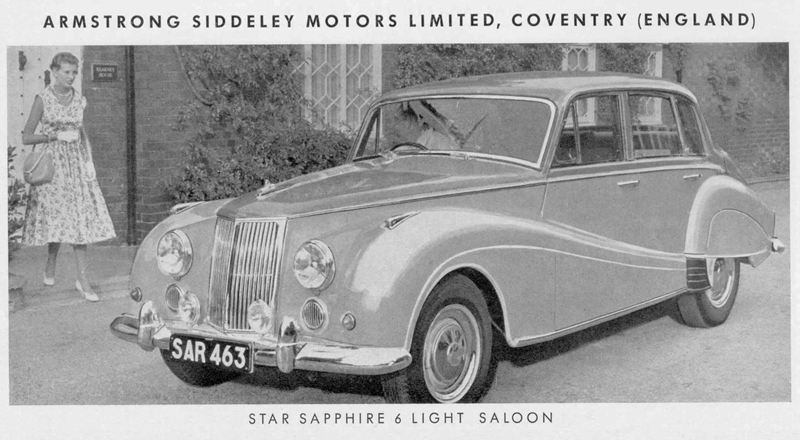 In the United Kingdom, the Armstrong Siddeley Owners Club Ltd publishes a monthly Members magazine “Sphinx”. 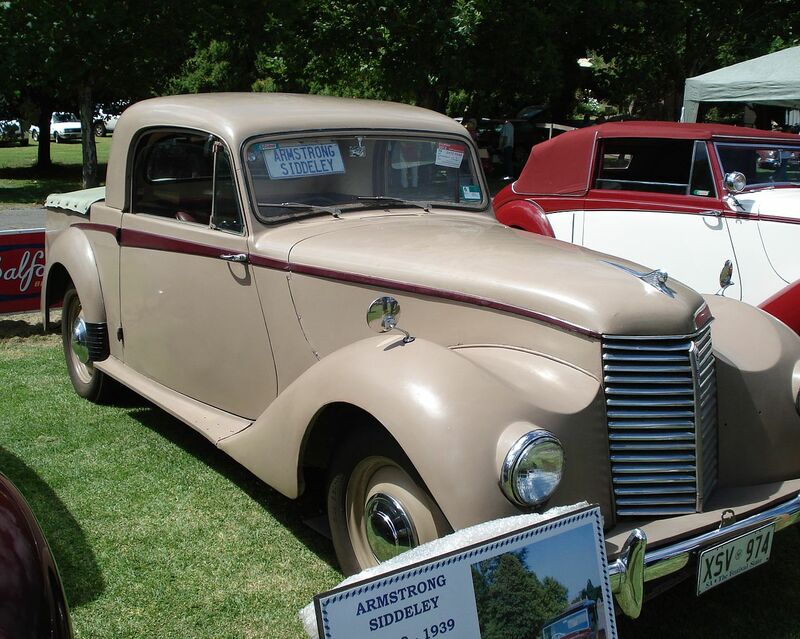 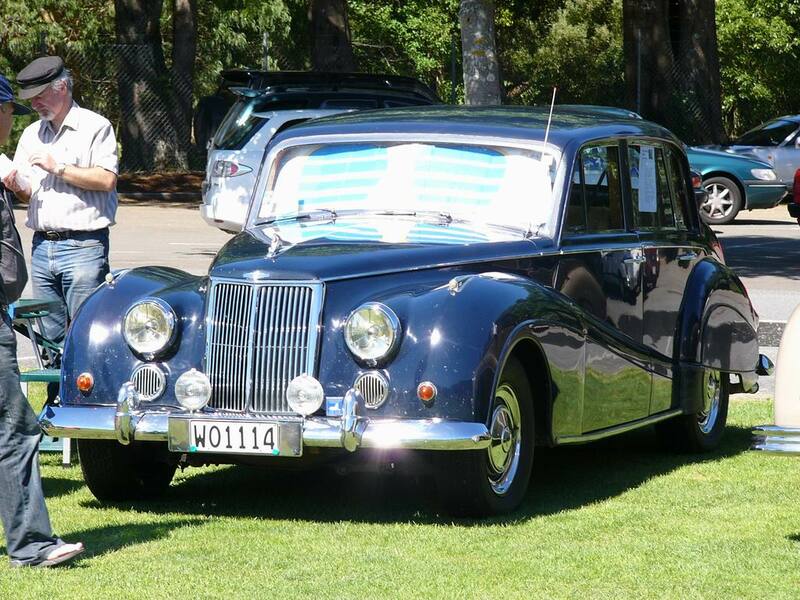 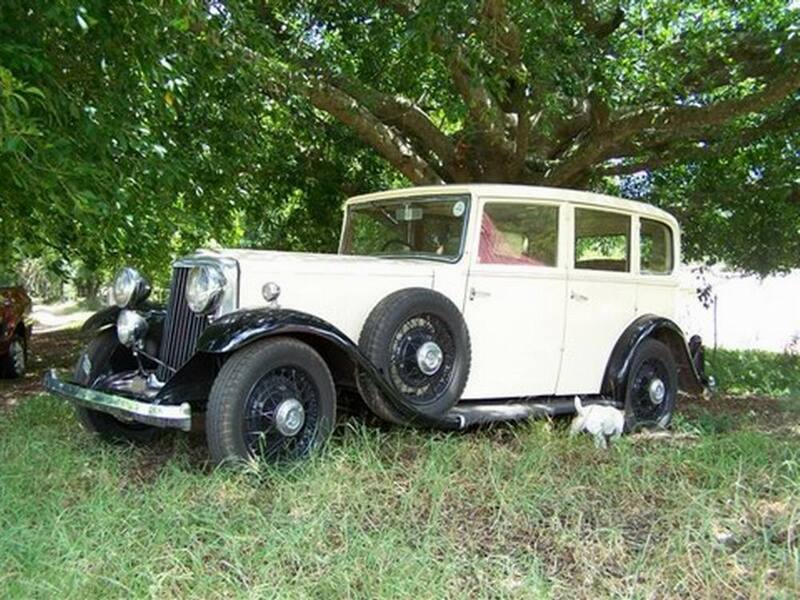 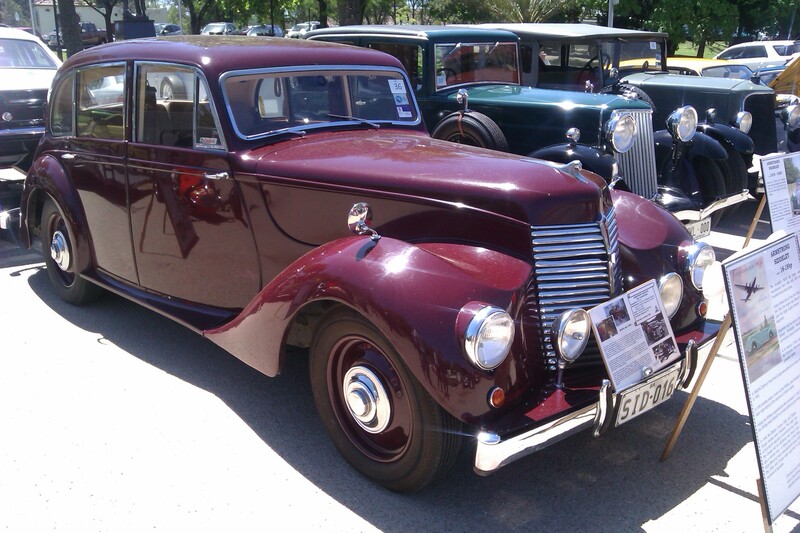 In Australia, the Armstrong Siddeley Car Club publishes “Southern Sphinx” six times a year. 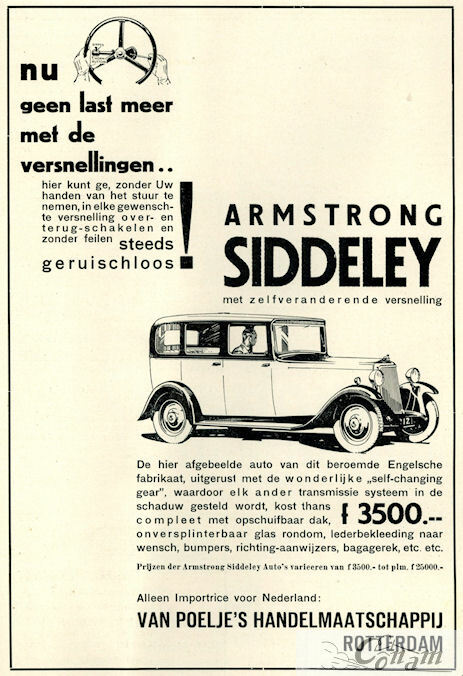 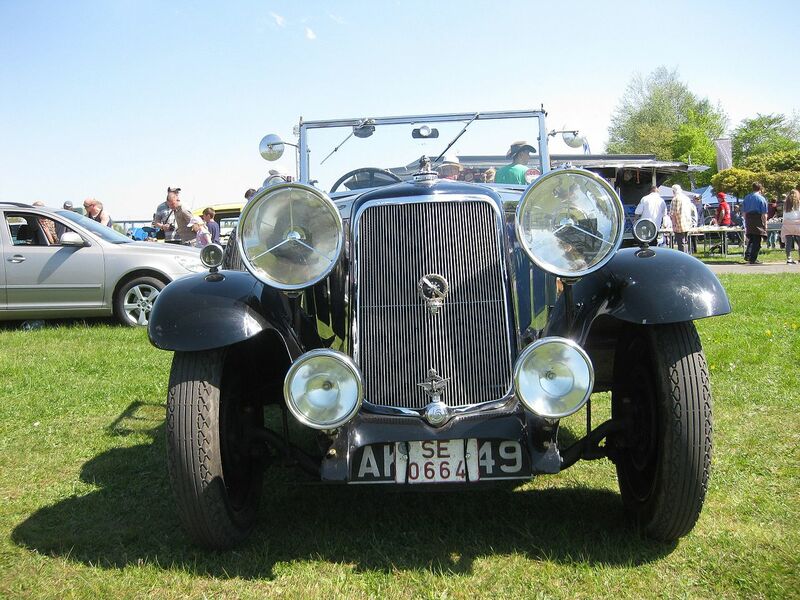 In the Netherlands ASOC Dutch publishes also six times a year, and in New Zealand, Armstrong Siddeley Car Club in New Zealand Inc. publish “Sphinx-NZ” every month. 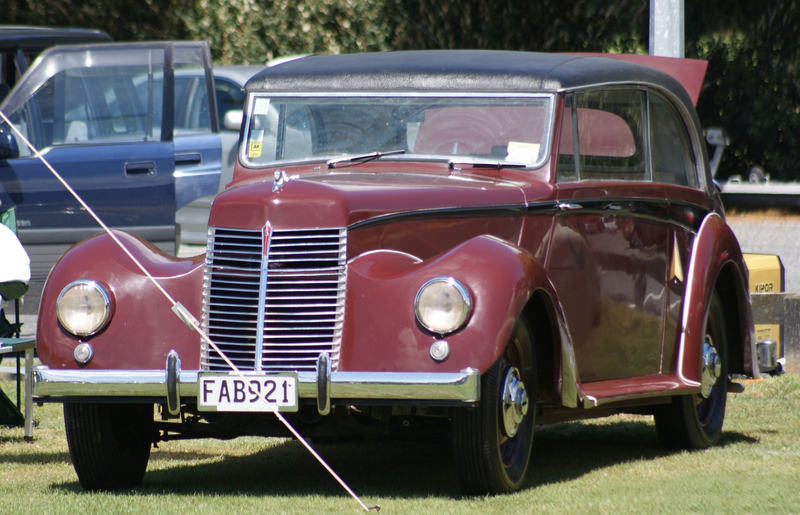 Further details are available from the Membership Secretary, or via the ASOC Ltd and ASCC Australia websites. 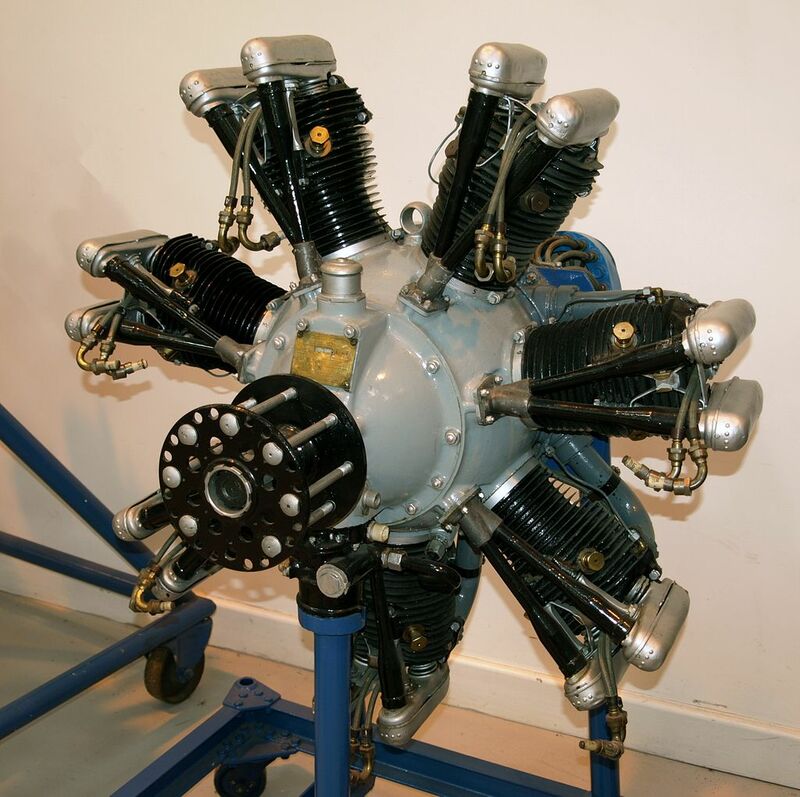 Throughout the 1920s and 1930s, Armstrong Siddeley produced a range of low- and mid-power aircraft radial engines, all named after big cats. 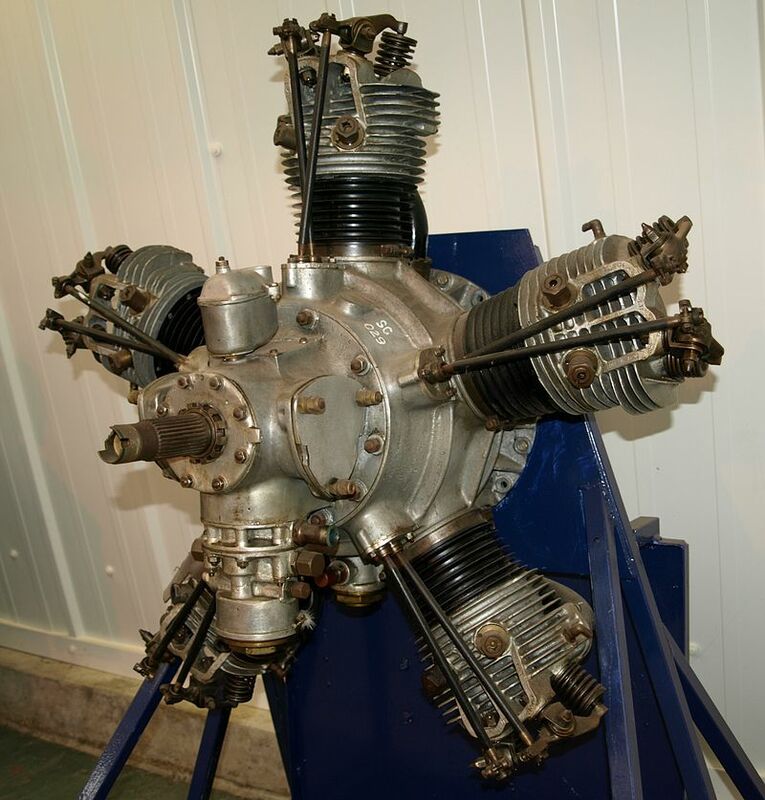 They also produced a tiny 2-cylinder engine called the Ounce, another name for the snow leopard, for ultralight aircraft. 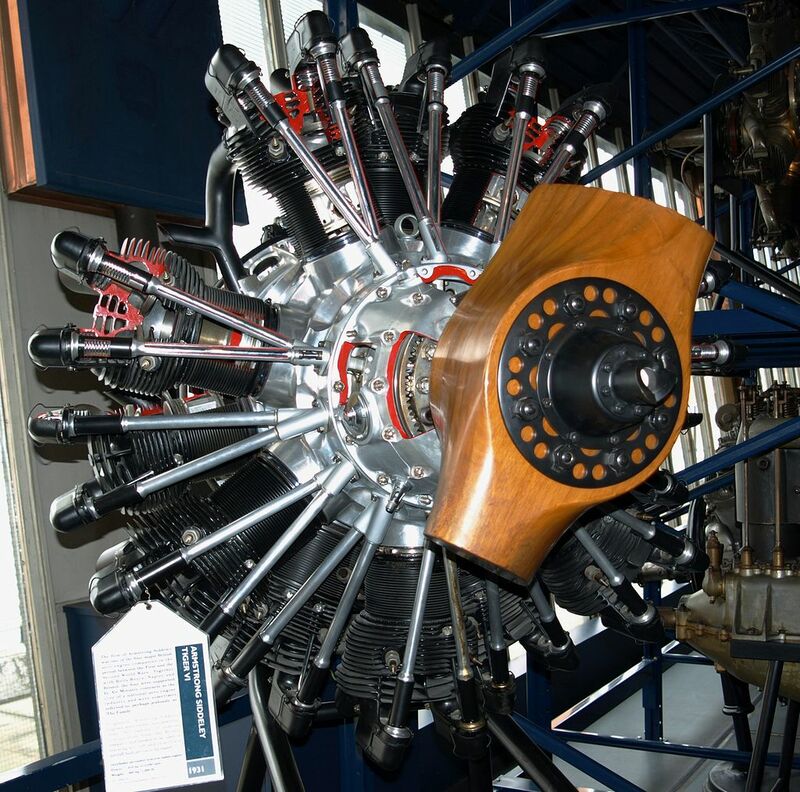 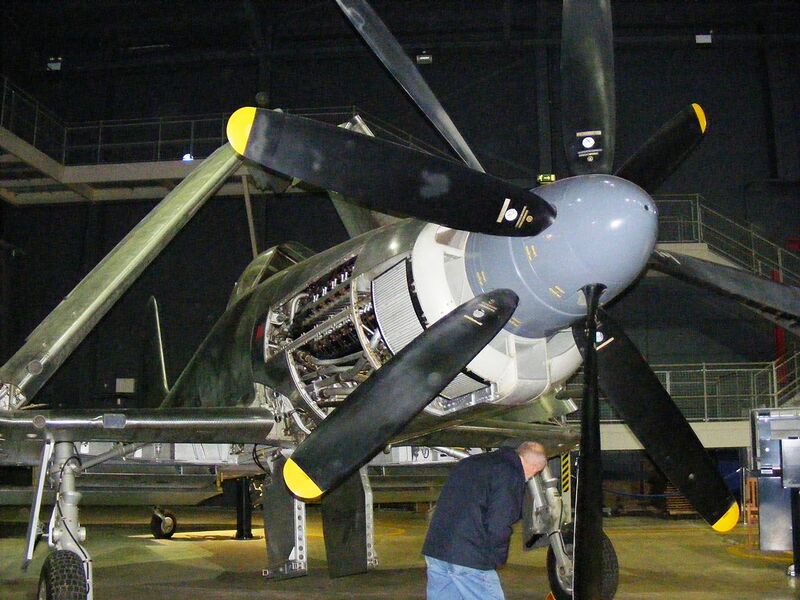 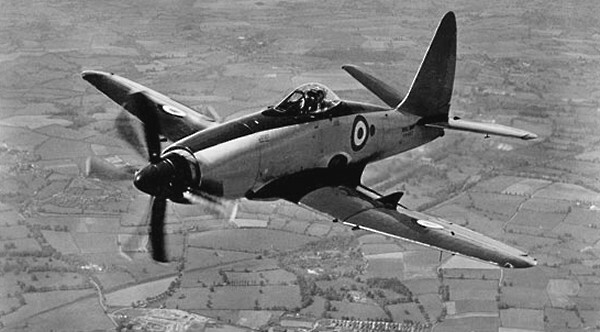 The company started work on their first gas turbine engine in 1939, following the design pioneered at the Royal Aircraft Establishment by Alan Arnold Griffith. 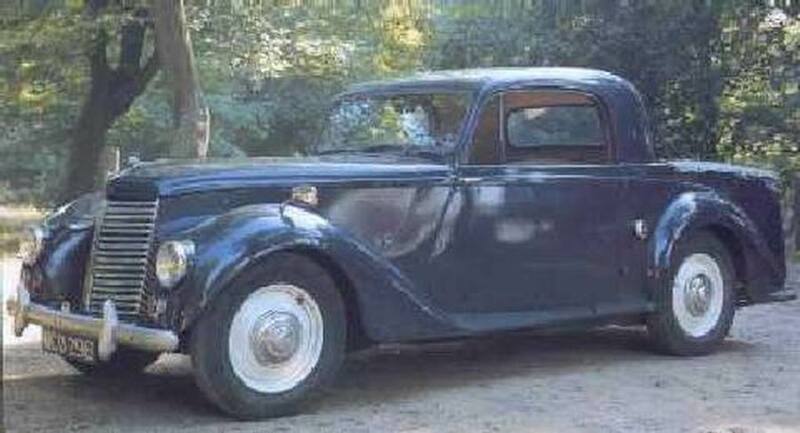 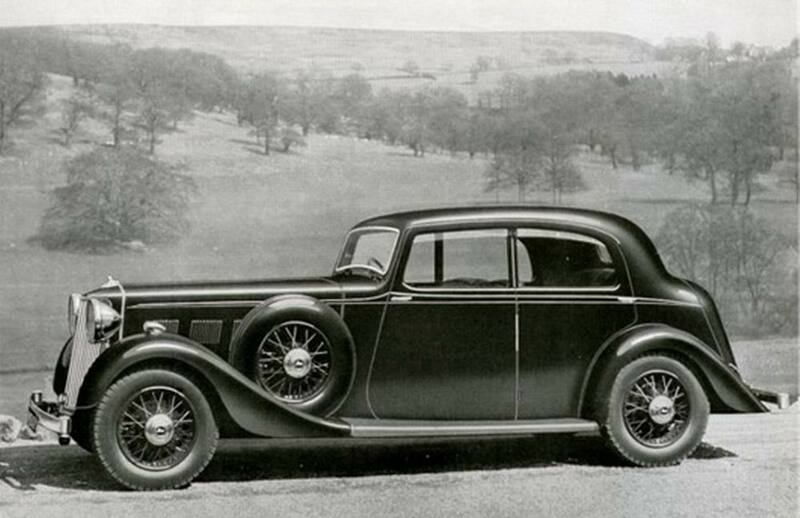 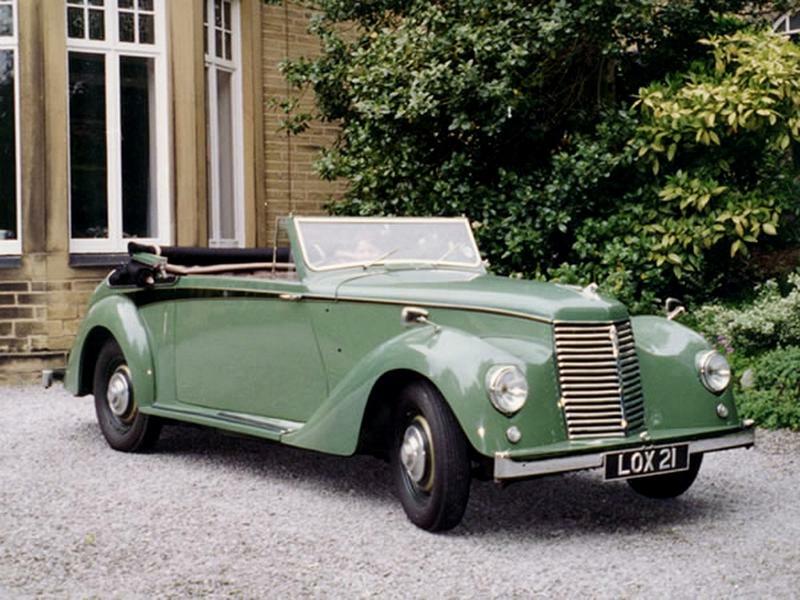 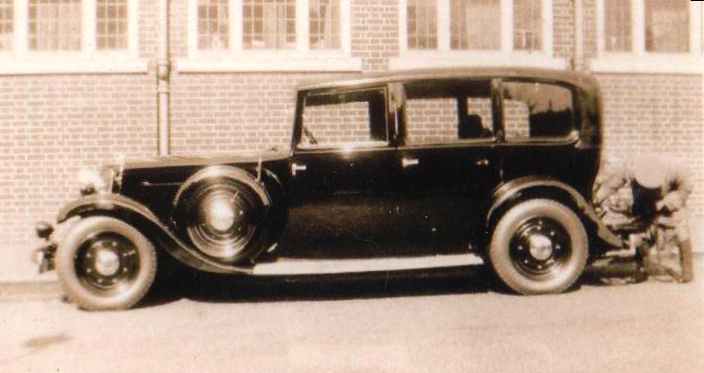 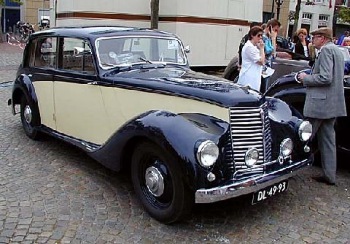 Known as the “ASX” for “Armstrong Siddeley eXperimental”, the original pure-turbojet design was later adapted to drive a propeller, resulting in the “ASP”. 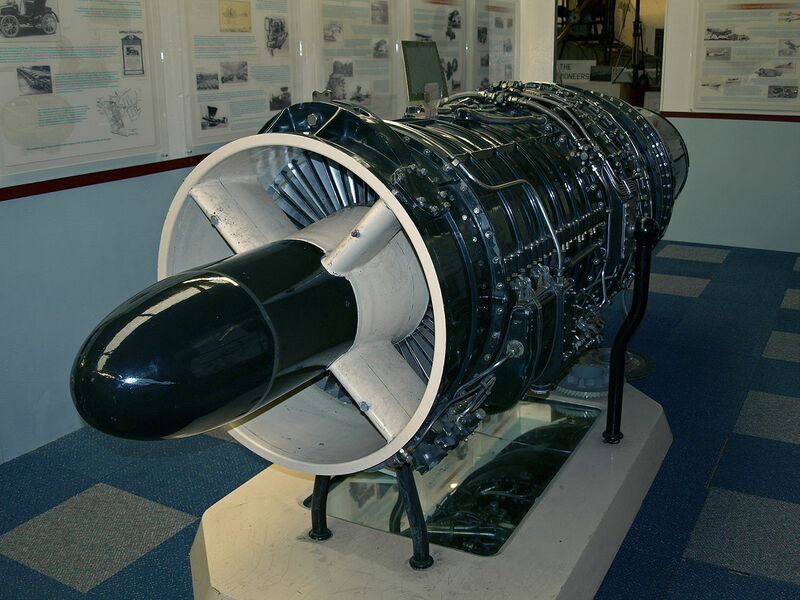 From then on, AS turbine engines were named after snakes. 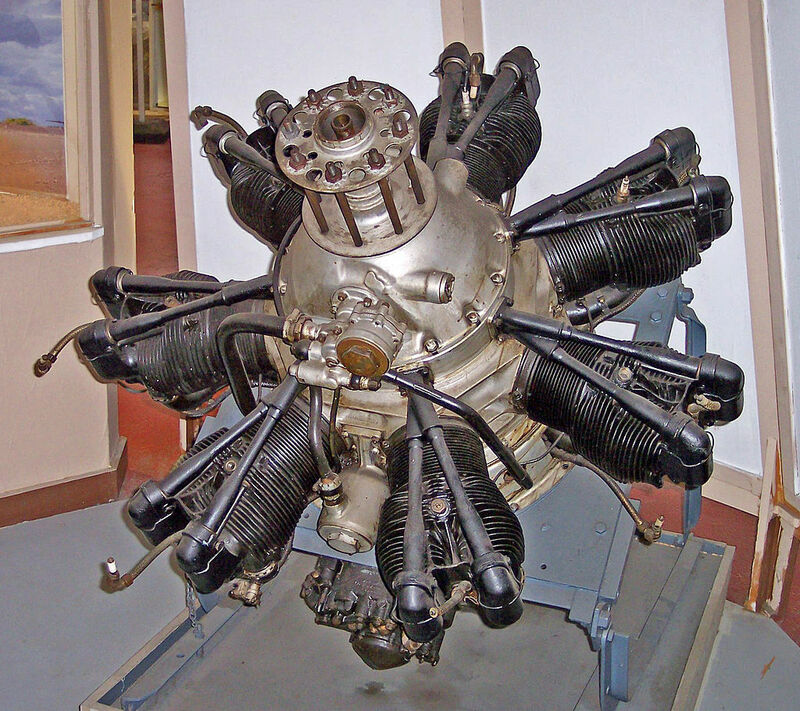 The Armstrong Siddeley Mamba ASM3 Mamba and Armstrong Siddeley Double Mamba aircraft engine Double Mamba were turboprop engines, the latter being a complex piece of engineering with two side-by-side Mambas driving through a common gearbox, and could be found on the A Royal Navy Fairey Gannet AS.4 Fairey Gannet. 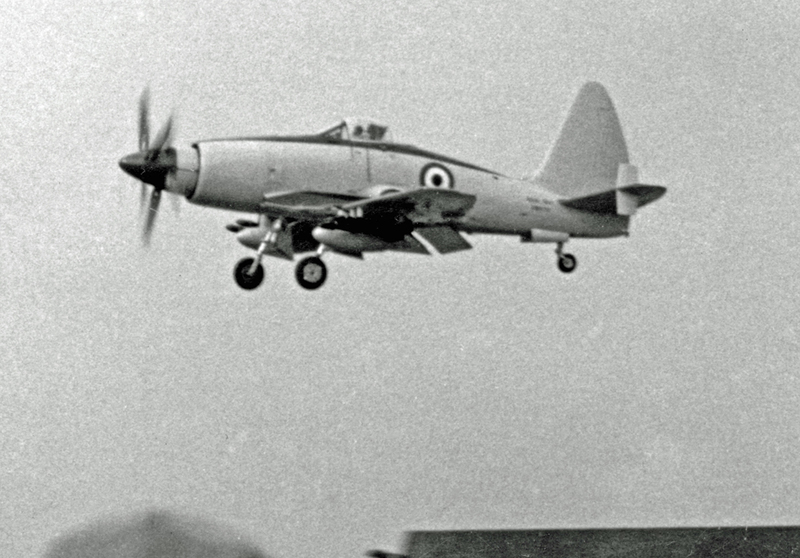 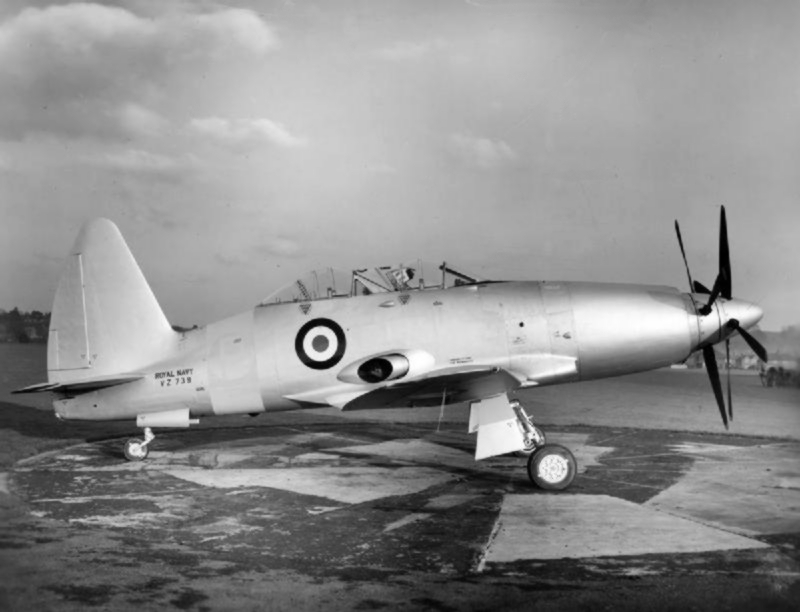 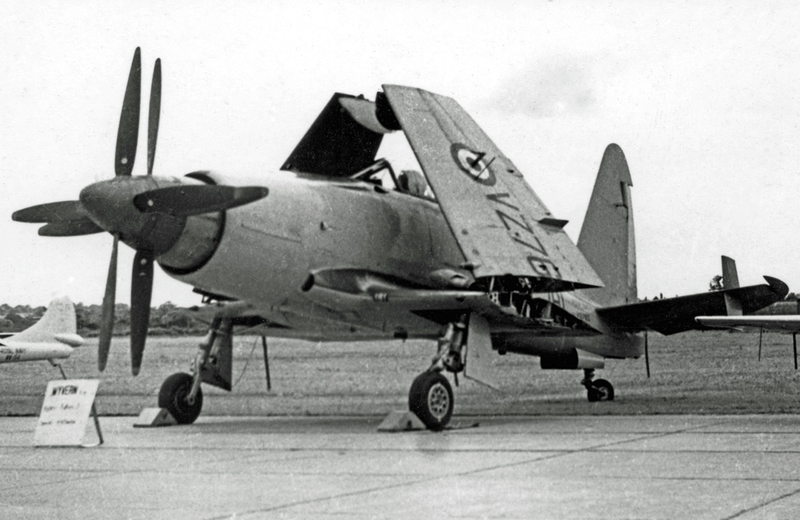 The Armstrong Siddeley Python during NACA wind tunnel testing in 1949 Python turboprop powered the Westland Wyvern S Mk.4 Westland Wyvern strike aircraft. 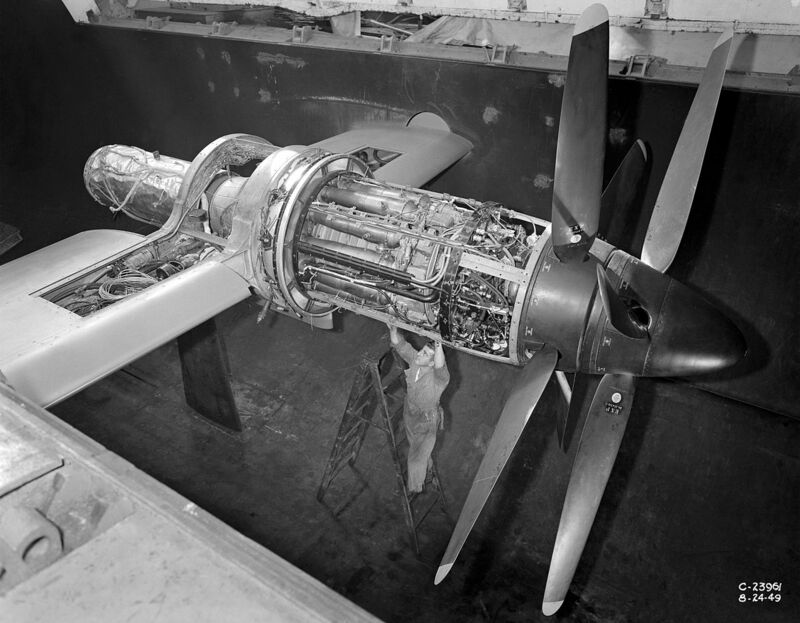 Further development of the Mamba removed the reduction gearbox to give the Adder turbojet. 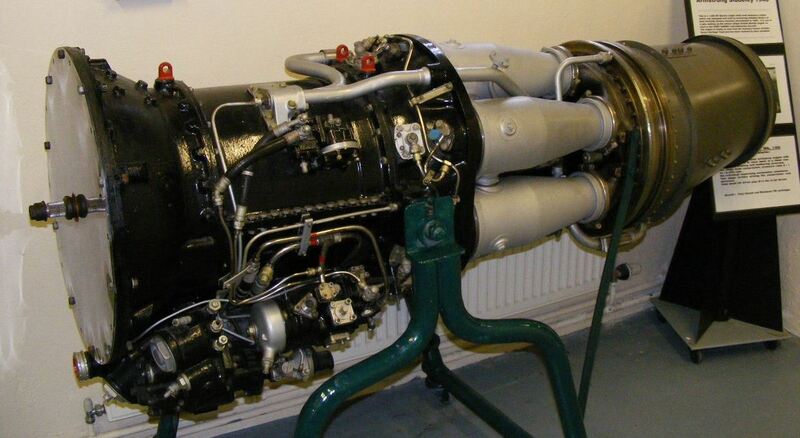 Another pioneer in the production of the RAE engine design was Metrovick, who started with a design known as the Metrovick F.2. 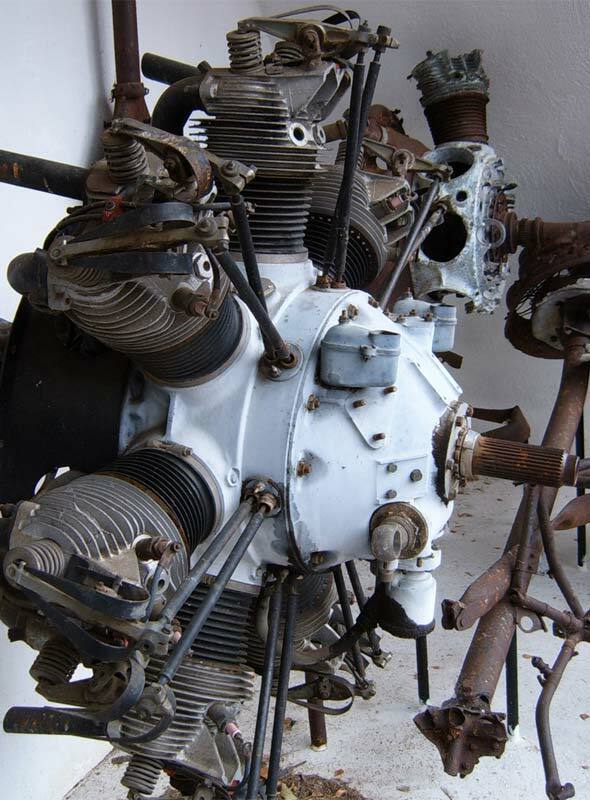 This engine never entered production, and Metrovick turned to a larger design, the Beryl, and then to an even larger design, the Sapphire. 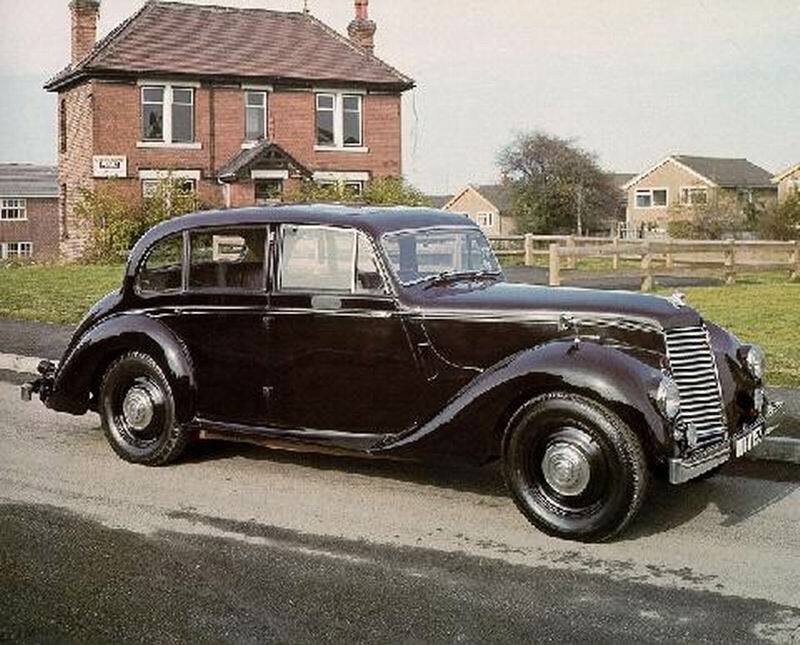 Armstrong Siddeley later took over the Sapphire design, and it went on to be one of the most successful 2nd generation jet engines, competing with the better-known Rolls-Royce Avon. 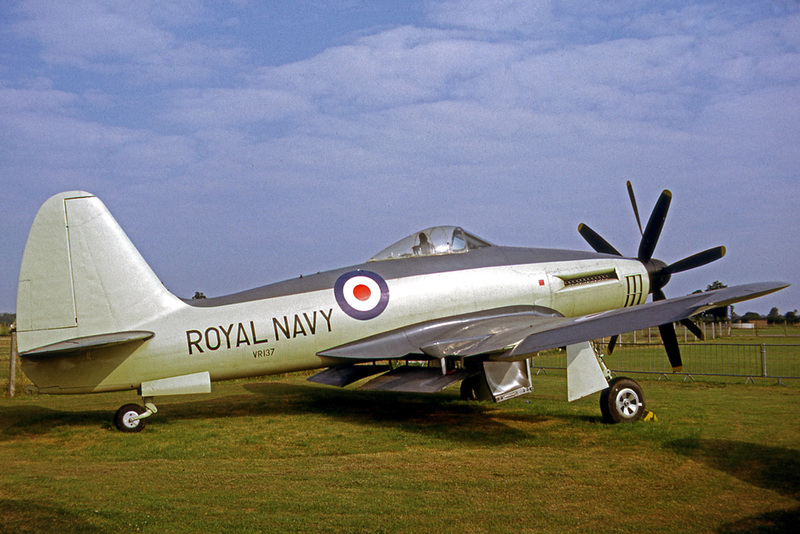 The company went on to develop an engine – originally for unmanned Jindivik target drones – called the Viper. 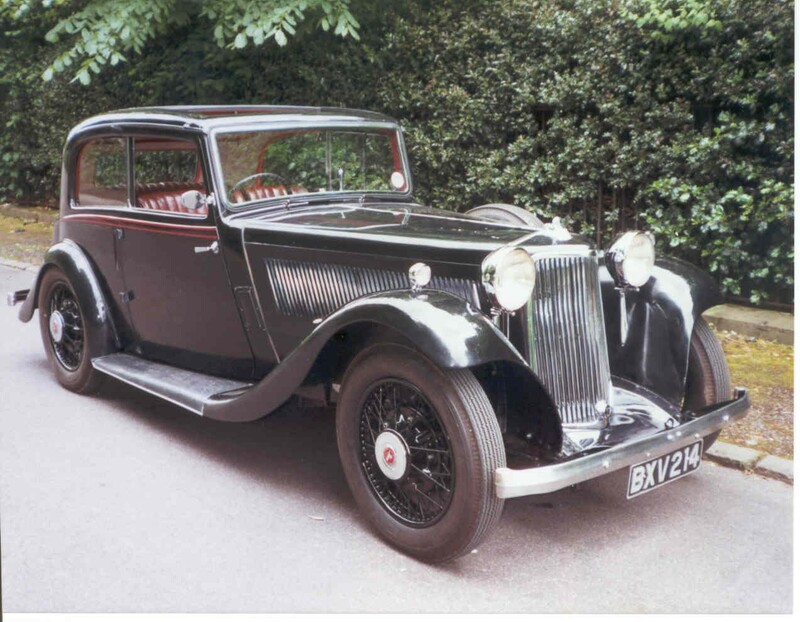 This product was further developed by Bristol Siddeley and, later, Rolls-Royce and was sold in great numbers over many years. 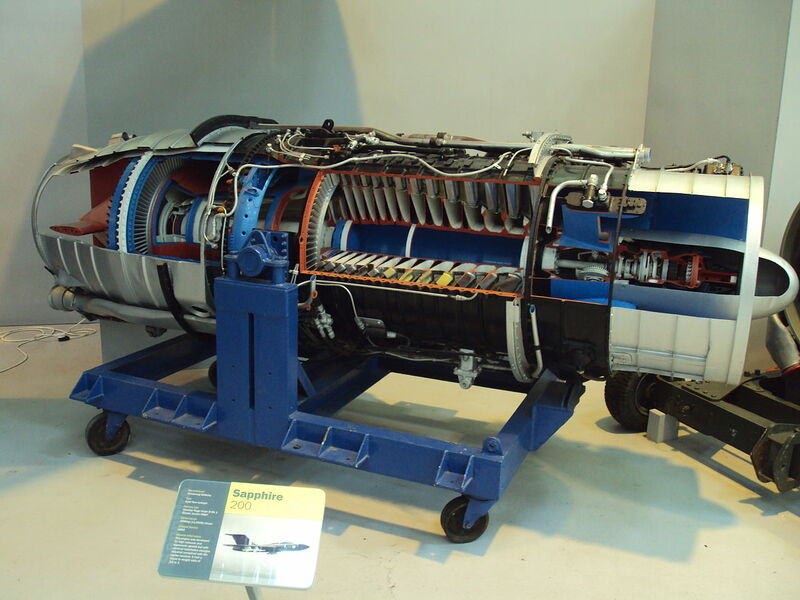 A range of rocket motors were also produced, including the Snarler and Stentor. 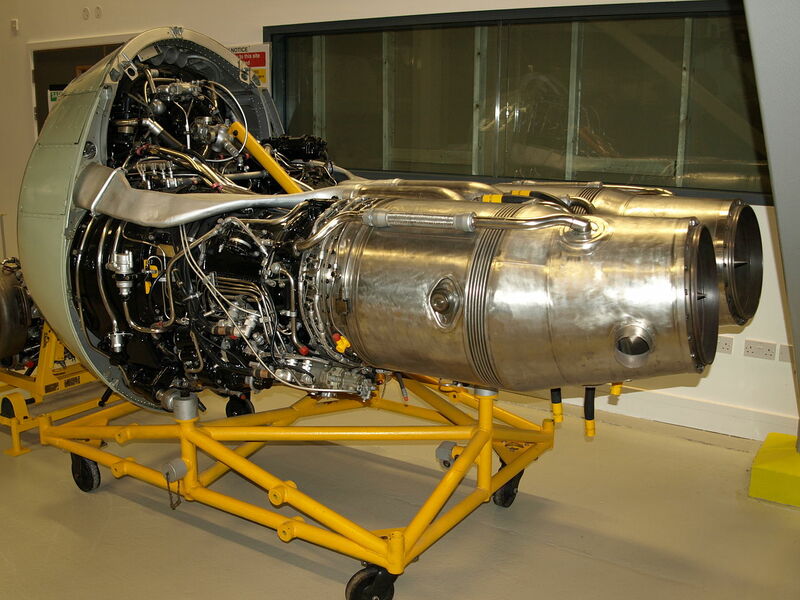 The rocket development complemented that of Bristol, and Bristol Siddeley would become the leading British manufacturer of rocket engines for missiles. 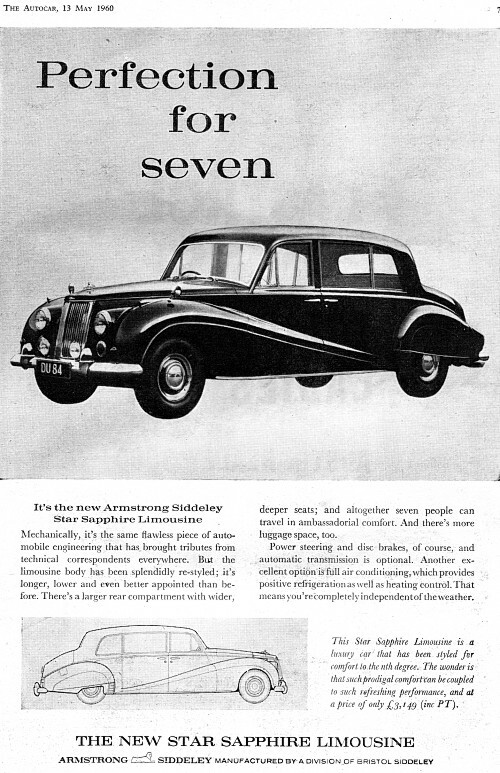 The engines were built at Armstrong Siddeley’s factory at Walnut Street, Leicester until that factory closed in August 1957. 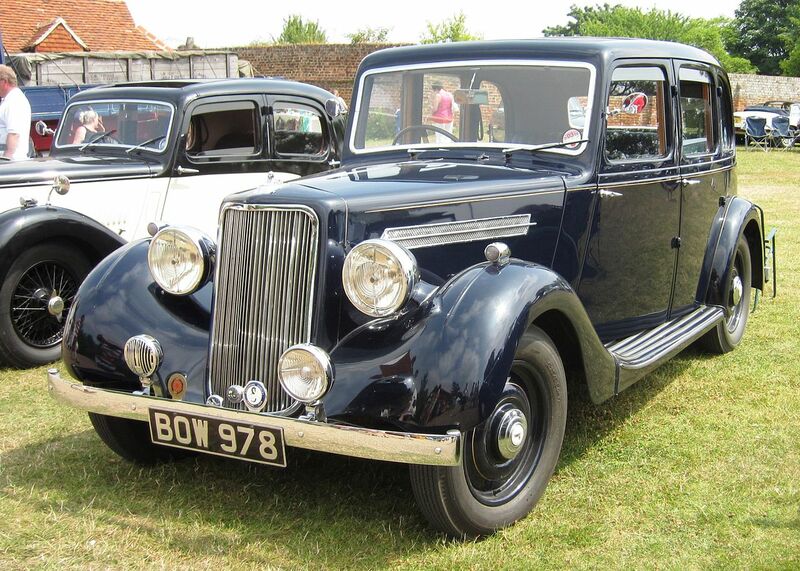 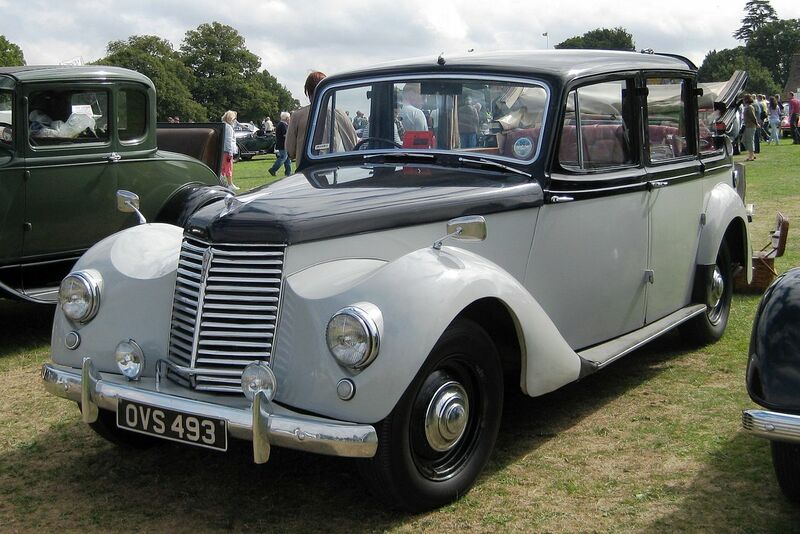 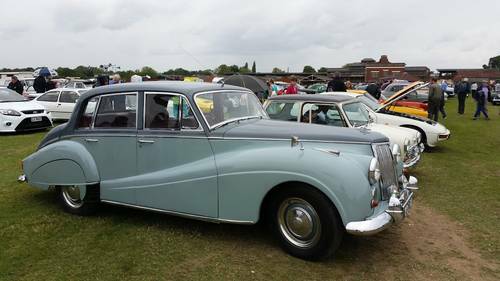 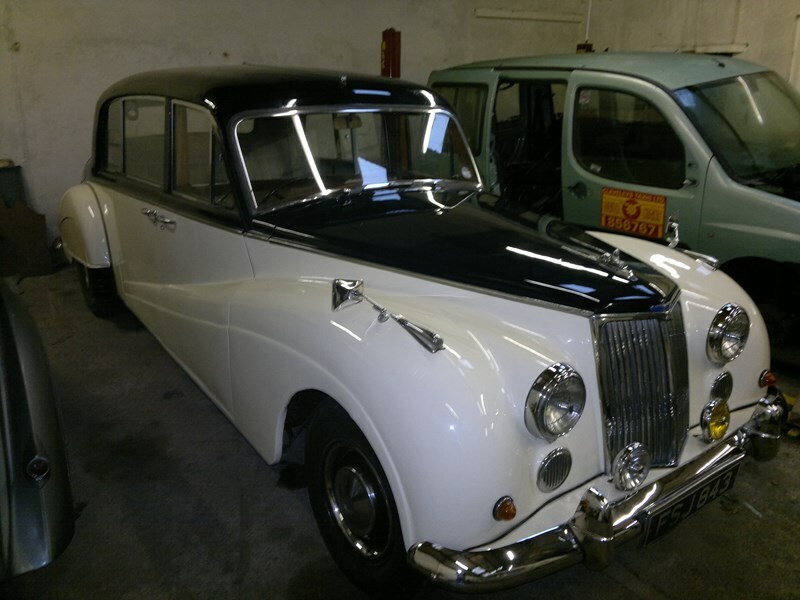 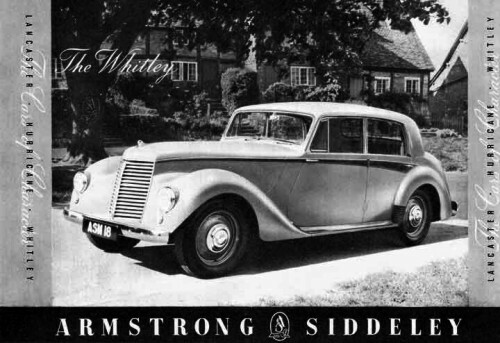 Production was transferred to the factory of Armstrong Siddeley (Brockworth) Ltd in Gloucestershire and in 1958 to the factory of Petters Limited at Staines, Middlesex. 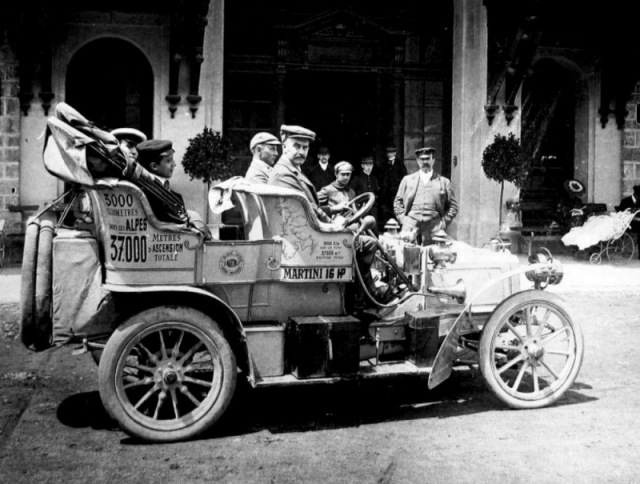 The engines built by Petters were designated AS1, AS2 and AS3 to distinguish them from that company’s other products. 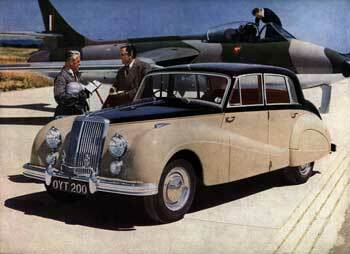 Production ended in 1962 when Petters introduced a replacement range of lightweight small high-speed air-cooled diesel engines. 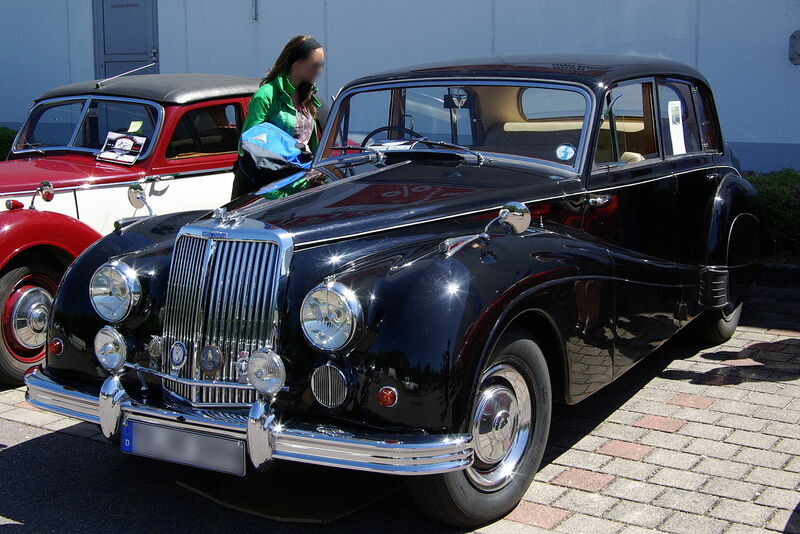 In April 1958 the company obtained a licence to build the Maybach MD series high-speed diesel engines. 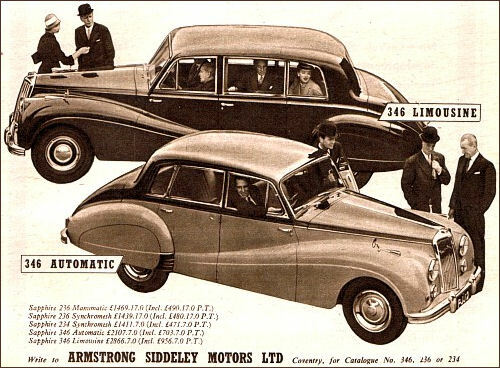 Several hundred were built by Bristol Siddeley Engines Ltd after that company took over Armstrong Siddeley’s manufacturing activities in 1959. 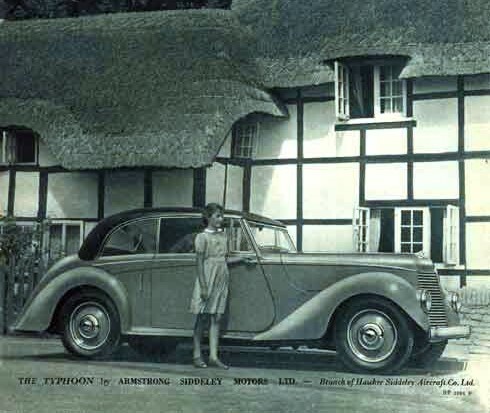 Jump up^ Kay & Springate (2014), p. 18. 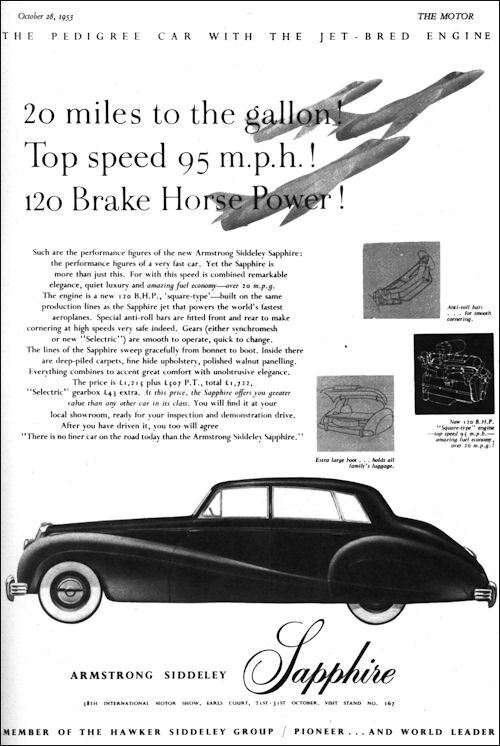 Jump up^ Smith (2006), p. 494. 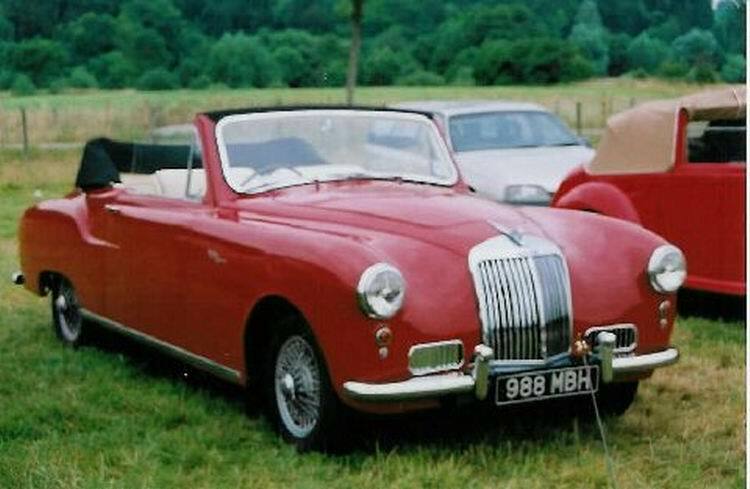 Kay, David; Springate, Lynda (2014). 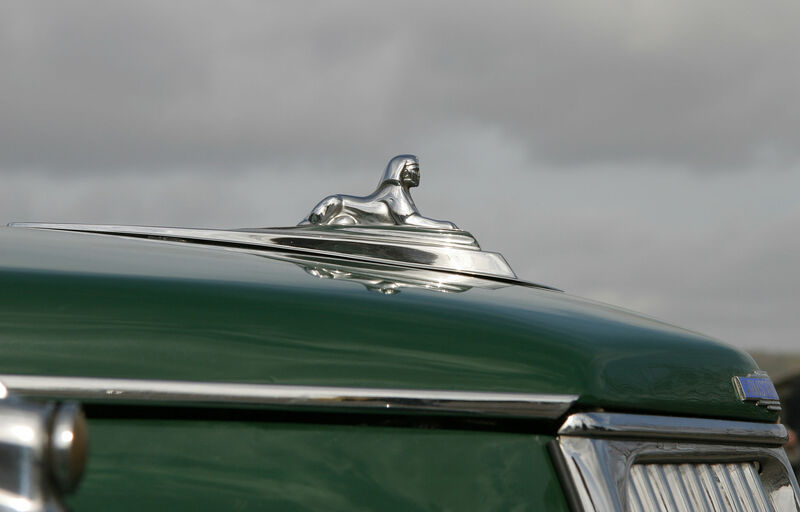 Automotive Mascots: A Collector’s Guide to British Marque, Corporate & Accessory Mascots (eBook). 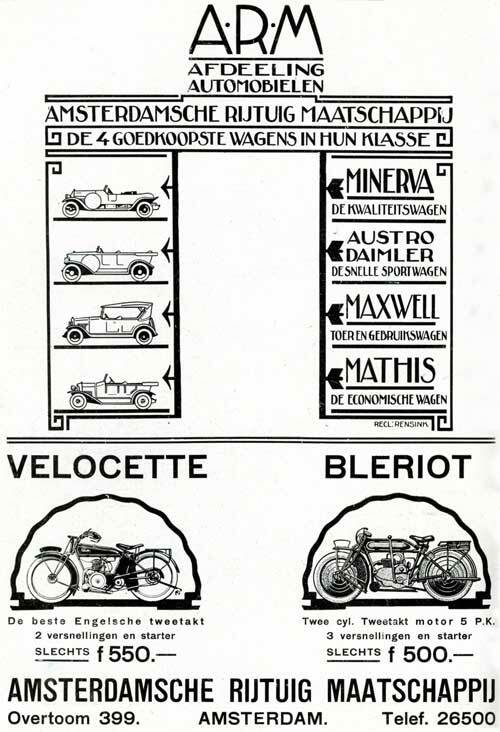 Veloce Publishing. 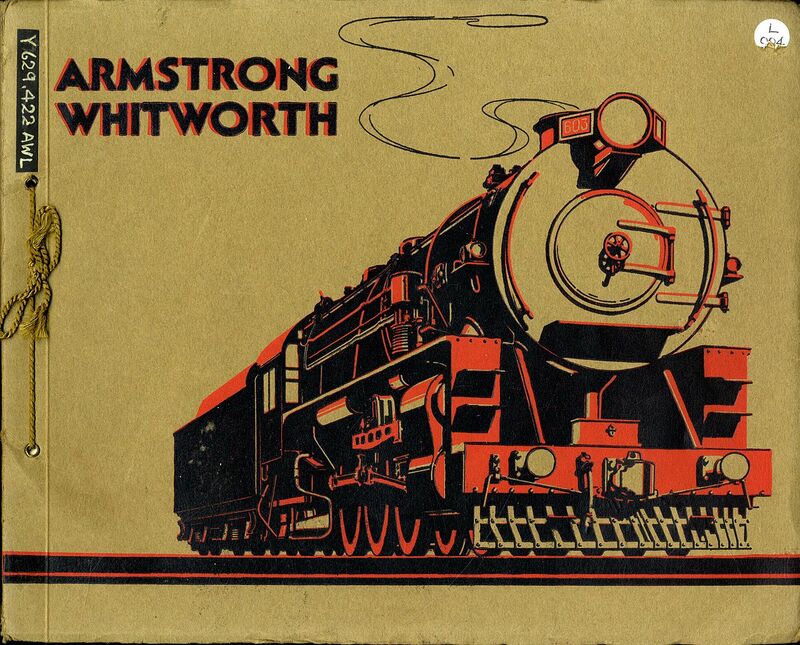 ISBN 978-1-84584-785-2. 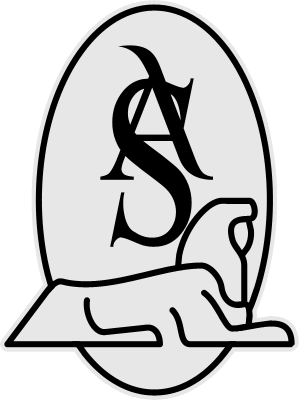 Smith, Bill (2006). 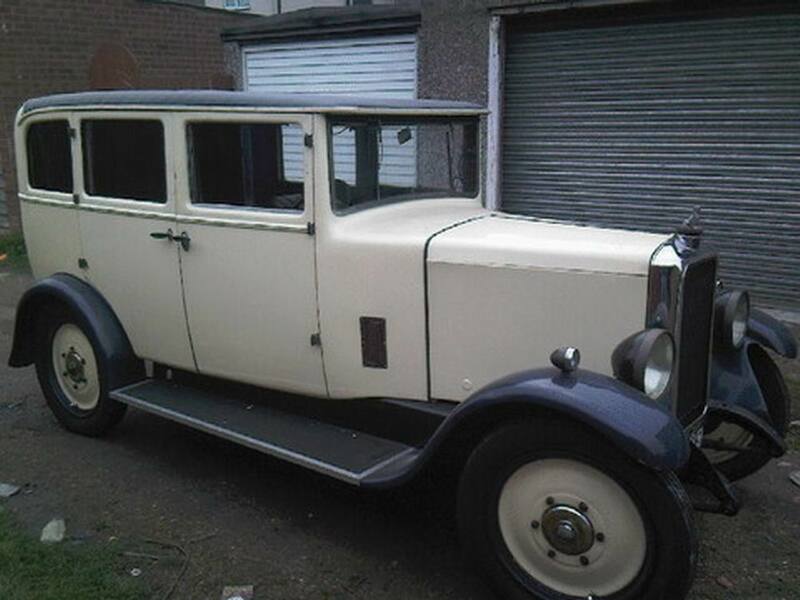 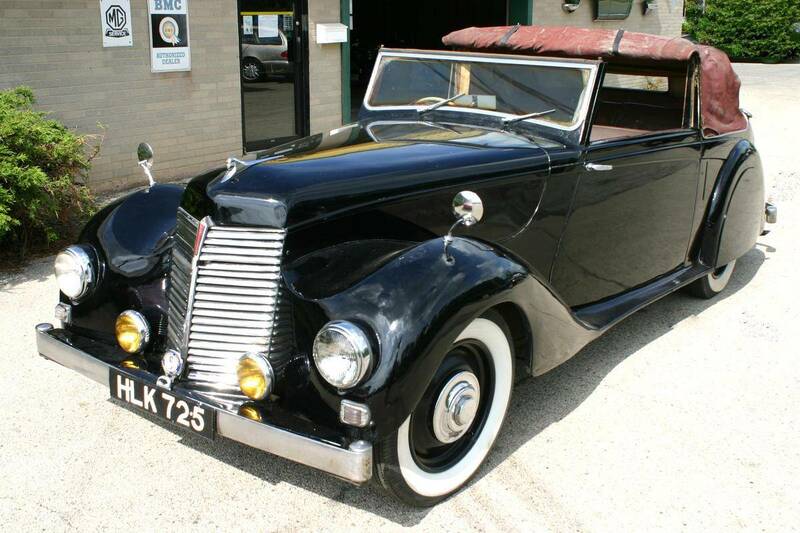 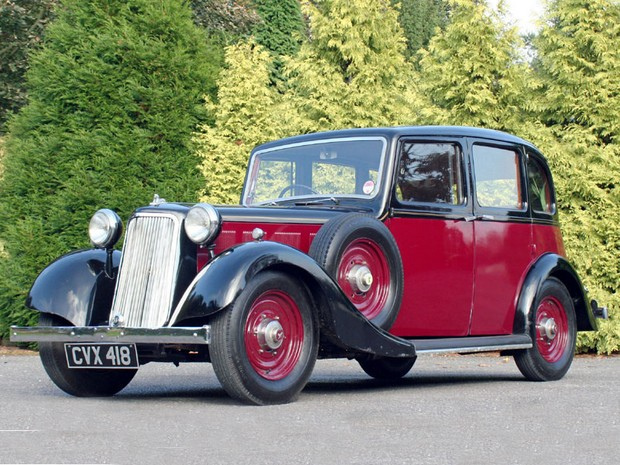 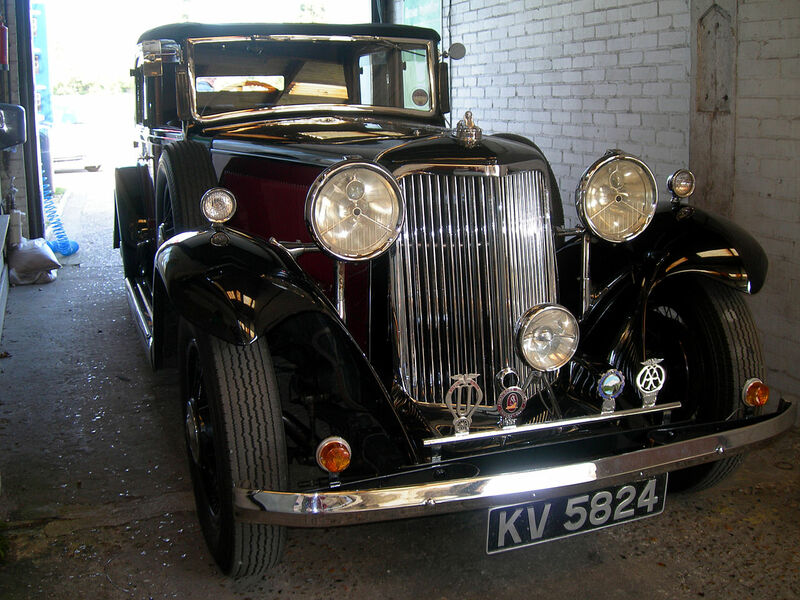 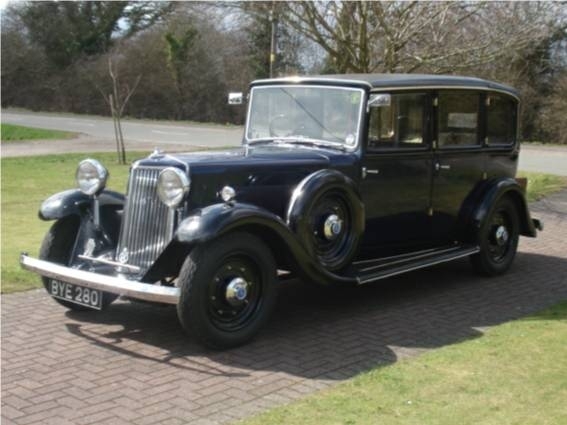 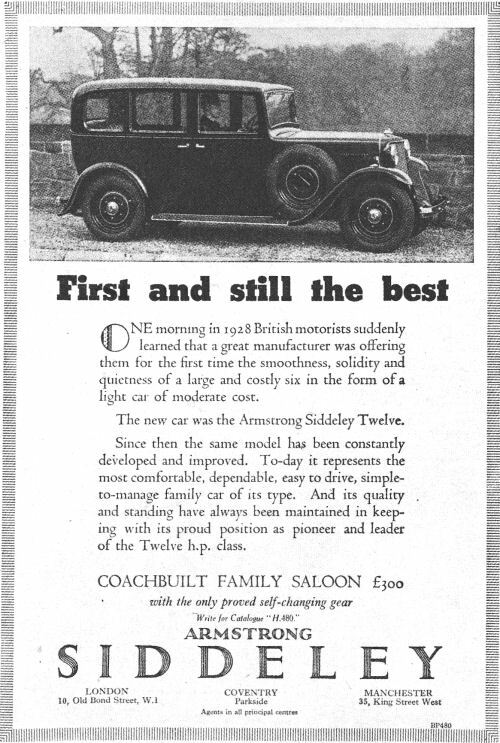 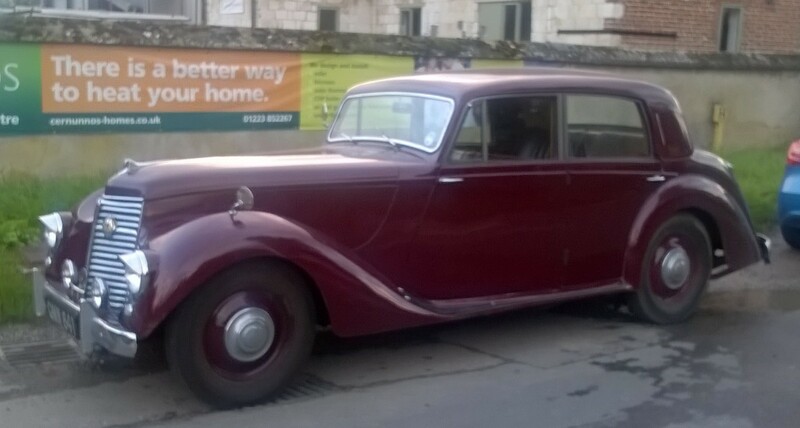 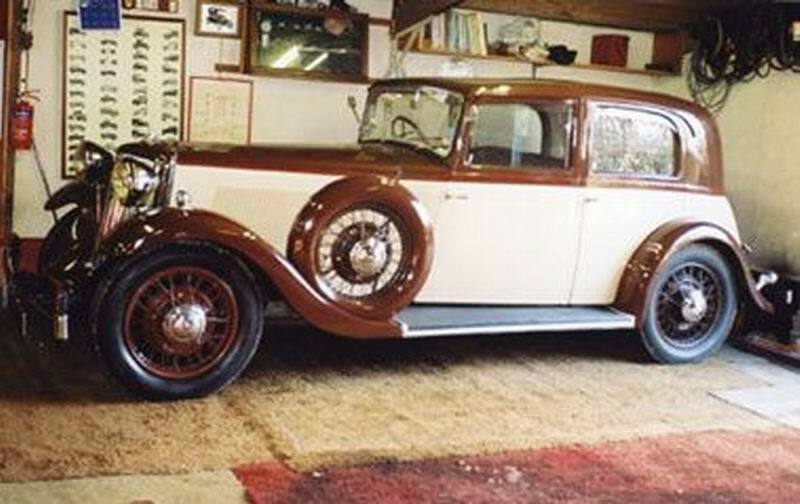 Armstrong Siddeley Motors, The cars, the company and the people in definitive detail. 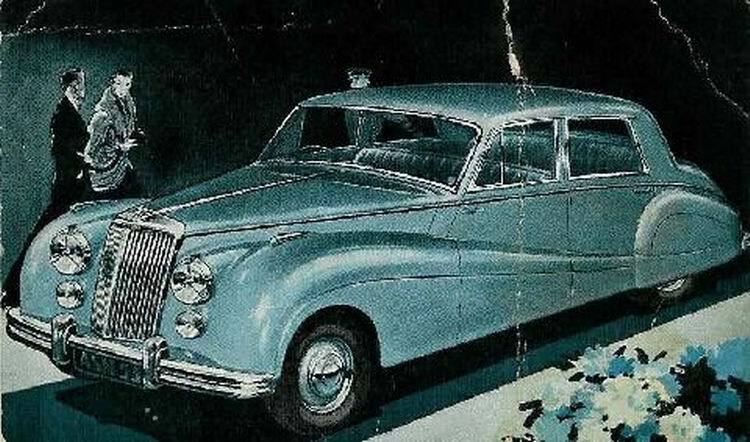 Veloce Publishing. 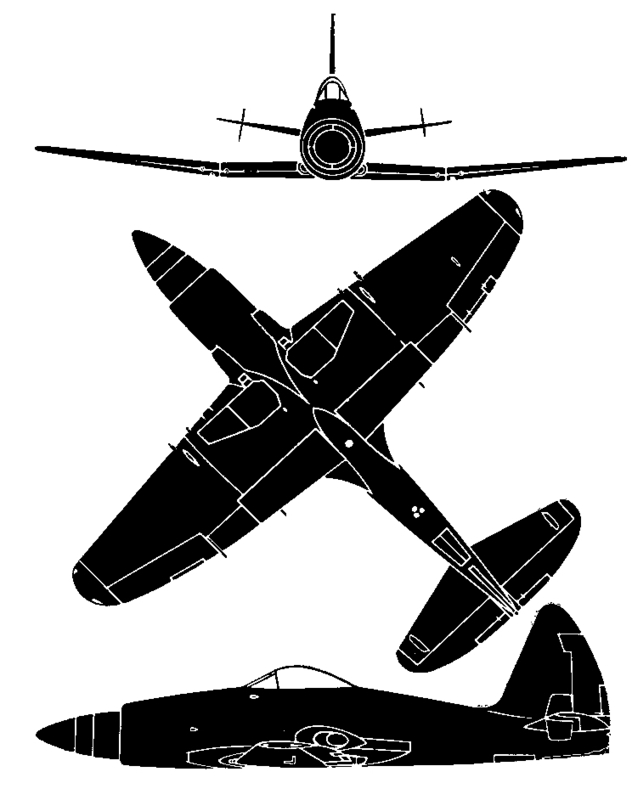 p. 494. 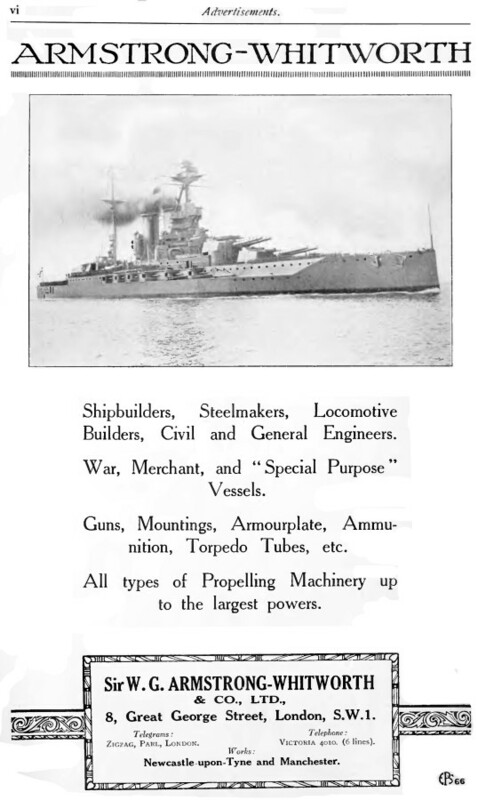 ISBN 978-1-904788-36-2. 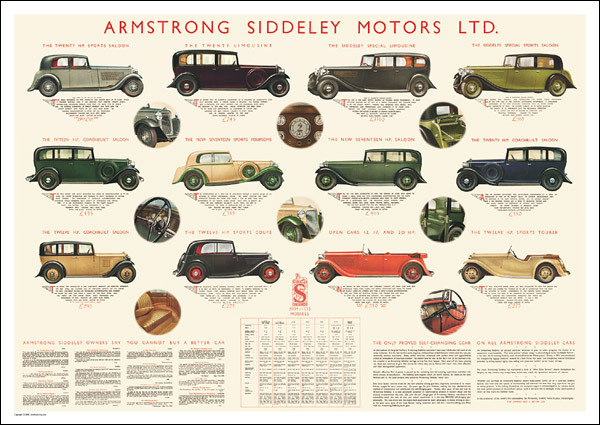 Robert Penn Bradly: Armstrong Siddeley, the Post War Cars; Motor Racing Publications, Croydon, 1989. 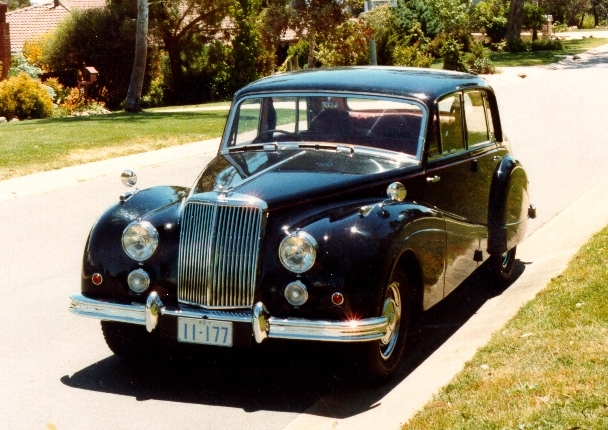 Robert Penn Bradly: The 346 Sapphire explored to great depth; Pimula PTY Pvt., Bardwell Park, NSW, 2008. 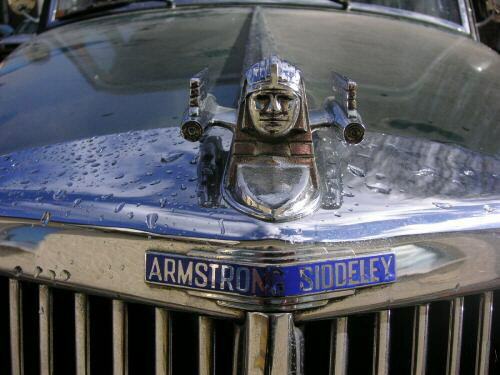 Bruce Lindsay: Armstrong Siddeley, the Sphinx with the heart of a lion; Lindsay family trust, Thailand, 2010.